Human activity including migrations, individual people, families and the institutions they formed in Lenox. 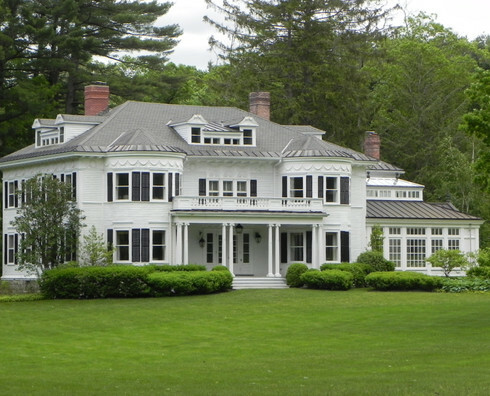 Geography, historic sites and homes in Lenox. 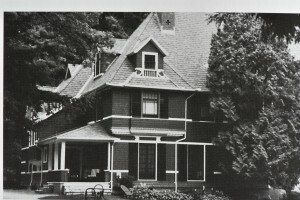 The Cornell house was built in 1888 by the Cornell family, having purchased the property from the MacDonalds, next door. 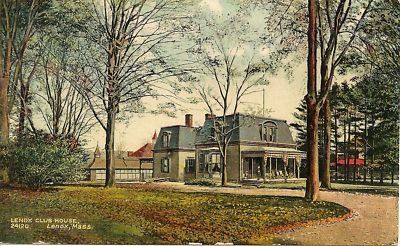 For most of its existence the Cornell Inn has been a lodge, an inn, a bed & breakfast or a way house for weary travelers on the road from Albany to Boston. 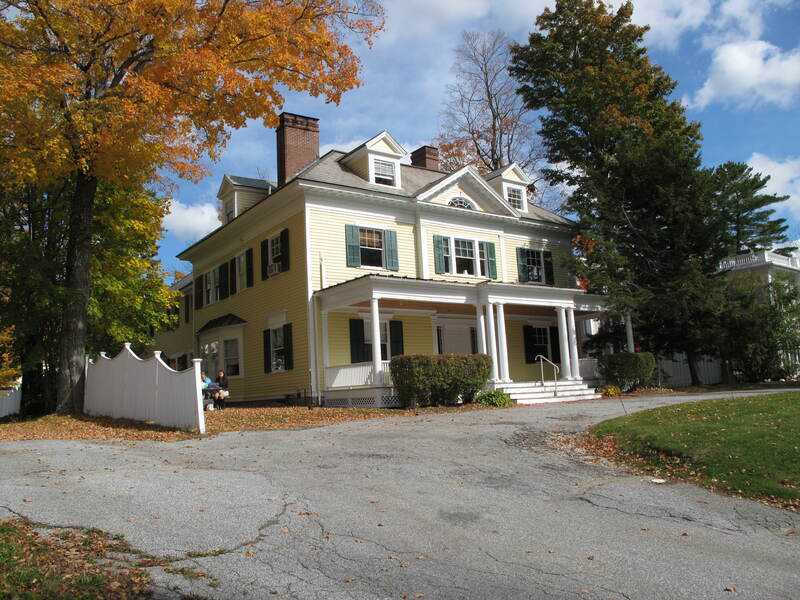 Eventually, when the last of the MacDonald family passed on, leaving no kin, the then-owners of The Cornell Inn purchased the MacDonald house (built in 1777) adding it to the inn. spectacular views, luxurious rooms, guest houses, trails and important guests. It burned suddenly in 1931. Hillside was built by Mrs. Hartman (Grace) Kuhn of Boston in 1870, and used by her during the ‘season’. 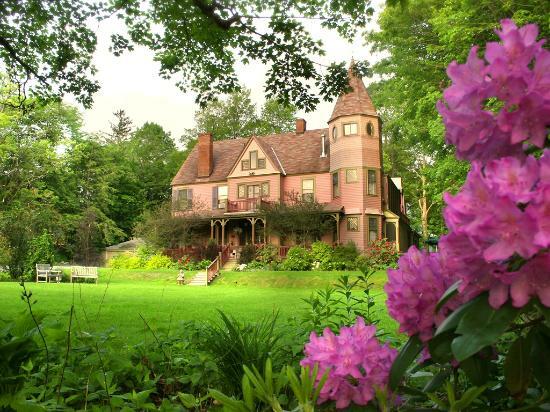 to Mrs. Cruger of New York, and around 1911 it was sold to Mr. and Mrs. Ross Whistler, who renamed it Hidden House. 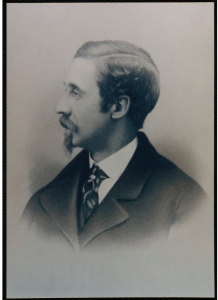 Mr. Whistler, who had made his fortune in railroads, was a nephew of the famous painter and brother of Joseph of Plumstead on Old Stockbridge Road. The original portion of the structure (corner of Hubbard and Main) was the home of Israel Dewey, one of Lenox’s earliest settlers. 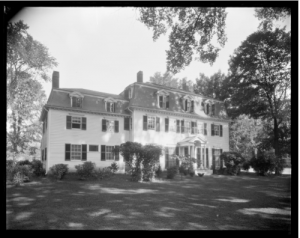 Dewey, who established a home in the area by 1764, was one of the proprietors of Lenox and served in a number of public positions. Like many Berkshire householders, Dewey was licensed as an innkeeper. 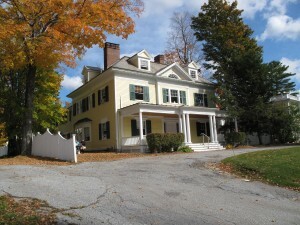 He left Lenox for Vermont in the early 1790’s, and after several changes in ownership the property was acquired by Zadock Hubbard in 1798. He enlarged the house and opened it as the Hubbard Tavern. 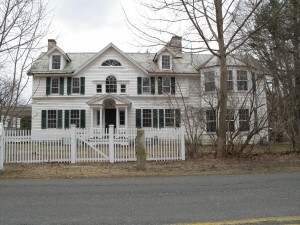 In 1806 the building was sold to Azariah Egleston, a locally prominent man, and converted back to a private residence. 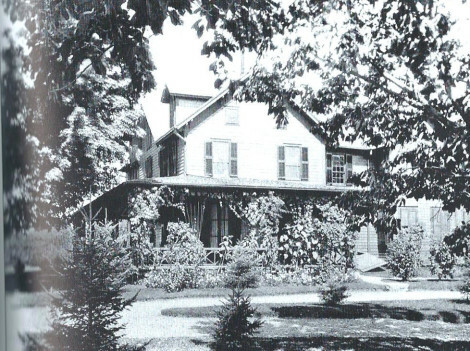 The house was substantially enlarged and altered after Mary Loring bought it in 1868. 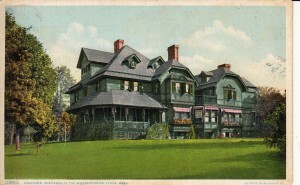 In 1885 it was sold to Mr. and Mrs. Richard S. Dana of New York and was remodeled for use as a summer home. Currently it is operated as Birchwood Inn. as she is listed in the 1885 directory as having a house and lot on Main Street. house. Miss Carey used part of the first floor servants’ wing as a carpentry shop, where she built doll and bird houses. 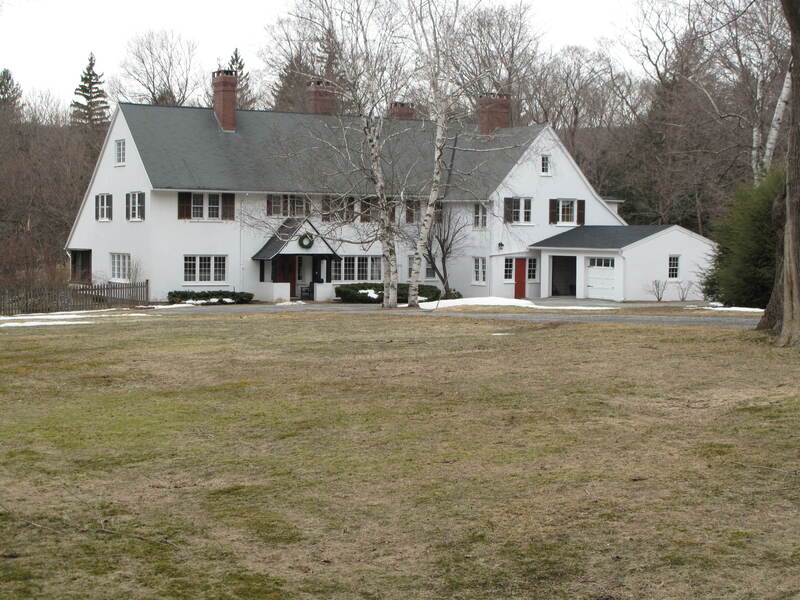 Upon her death in 1945, the property was deeded to Trinity Church, who in turn sold it to Joseph Reynolds. 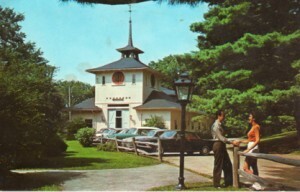 In 1951, it was sold again, renamed Garden Gables and opened it as an Inn and gift shop. This charming Queen Anne style home stands on the site of the original Congregational parsonage, a brick building dating from 1852. By the 1890’s it had fallen into disrepair and the congregation elected to build a new house on the same site. 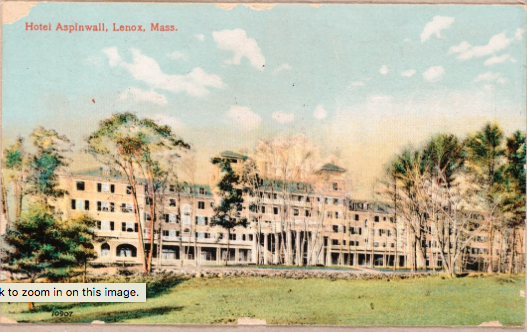 It is included in this description of Lenox as a Gilded Age resort only because it reflects the way the prosperity of the time spread out to effect the lifestyle of even the humble Congregational minister. 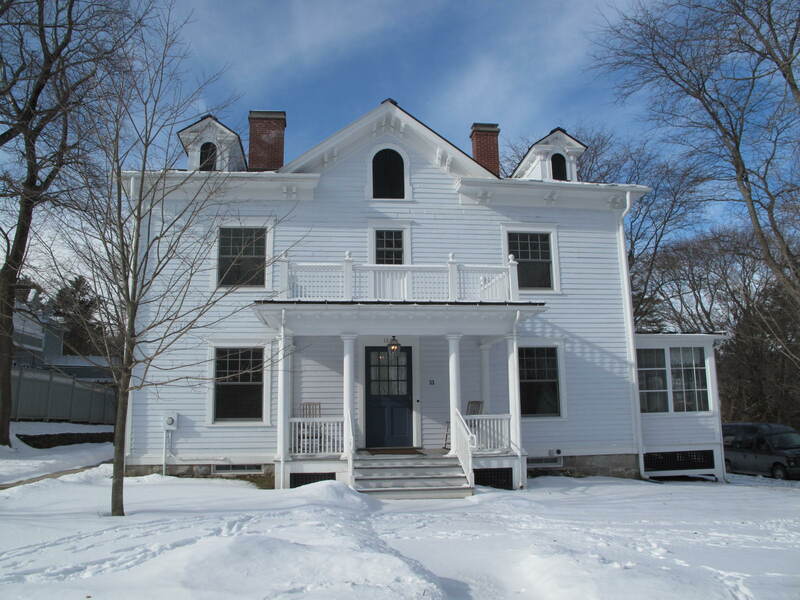 According to a turn-of-the-century magazine article, “Few Congregational Churches in Massachusetts have so fine a home for their ministers”. 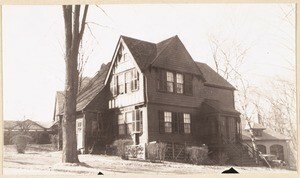 This house was used as a parsonage until 1925, when the Congregational Church was given the Worthington House on Cliffwood Street which became the home of the minister. 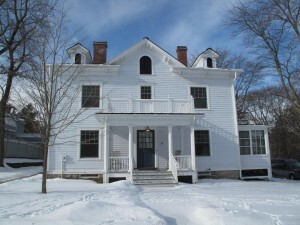 Andrew Thompson purchased this lot in 1836, and built this house. 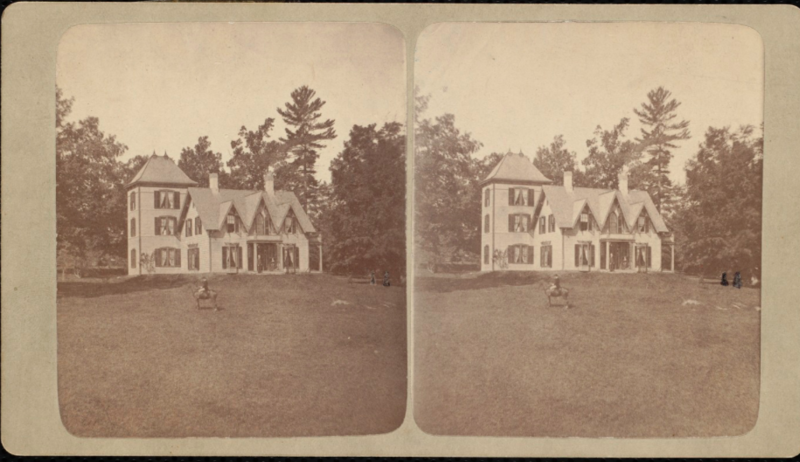 In 1850 Horatio Sears purchased the property and resided in the house until his death in 1861. It changed hands several times. 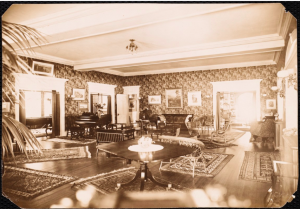 When it was purchased in 1872 by Andrew and Harriet Servin it was completely remodeled. Around 1900 it was purchased by B.K. 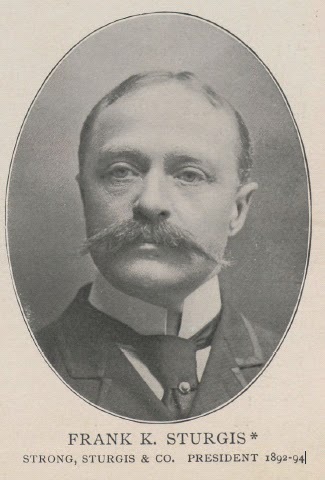 Stevens, who named in Sunnyhome (also “Sunnyholm”). It has been, most recently, a therapeutic facility. Schermerhorn. 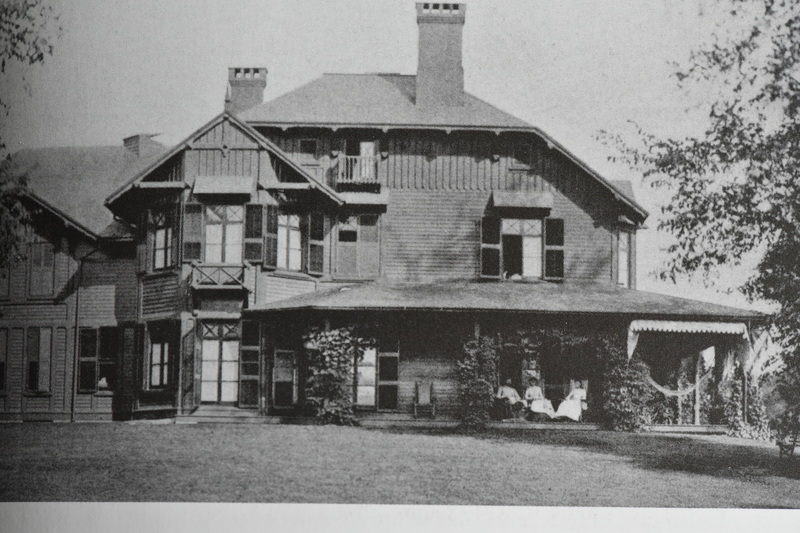 Mr. Schermerhorn named the house “The Lanai”, perhaps referring to its original porches. 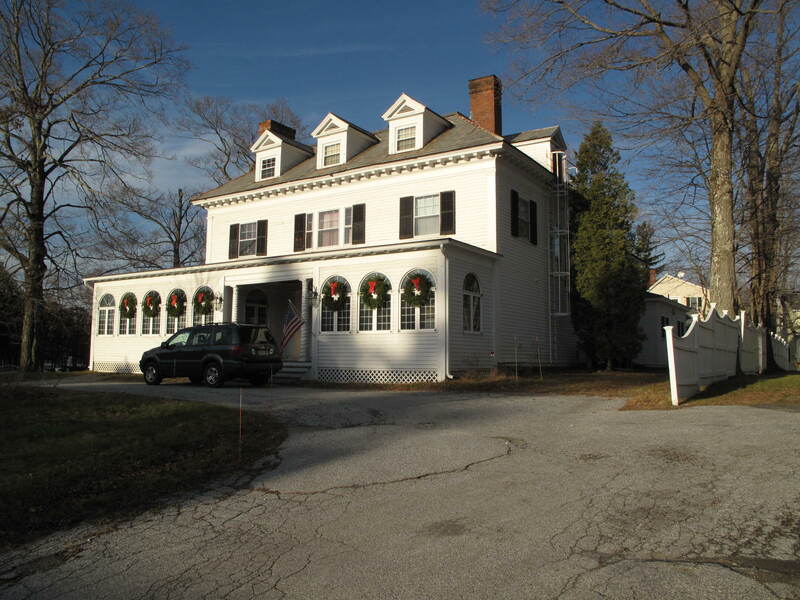 It is currently operated as the White House Inn. The original temple front structure, which forms the core of the present building, was probably designed as a counterpart to the Second County Courthouse of 1816 (now the Lenox Library). 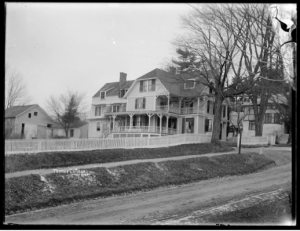 This corner has been the sight of an inn of some sort since at least 1773 when the tavern standing here served as a stop on the stagecoach route from Hudson, N.Y. to Pittsfield. 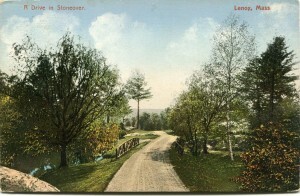 Traffic in the town increased after Lenox was made the county seat in 1784. 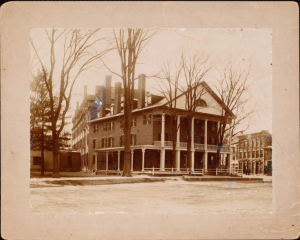 From about 1793 the Berkshire Coffee House operated on this site, and became famous as the gathering spot for people conducting business at the county Courthouse (then located across the street on the present site of Town Hall). 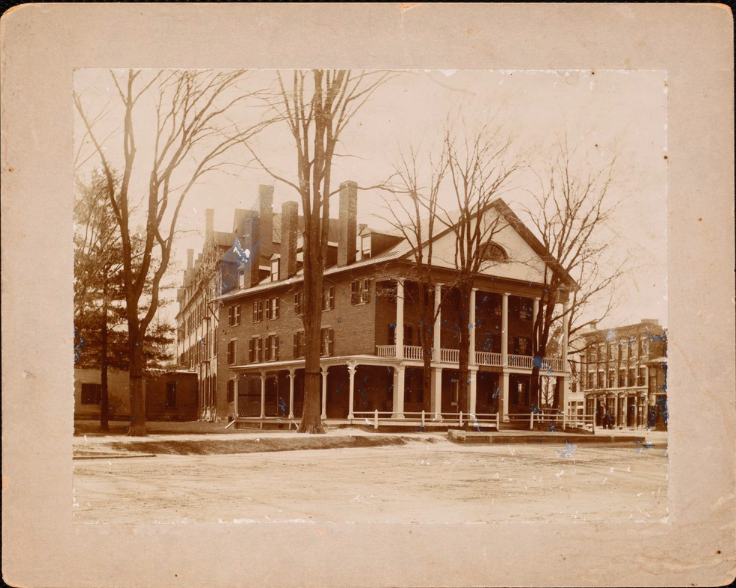 The hotel was purchased by William O.Curtis in 1853, and has been known as the Curtis Hotel ever since. 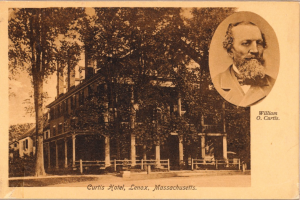 The Curtis family was responsible for much of the hotel’s ensuing success, and William O. Curtis and his son, William D. Curtis, were active members of the community. The loss of the County Court in 1868 had little impact on business at the Curtis, which by this time was catering to a growing number of seasonal visitors. 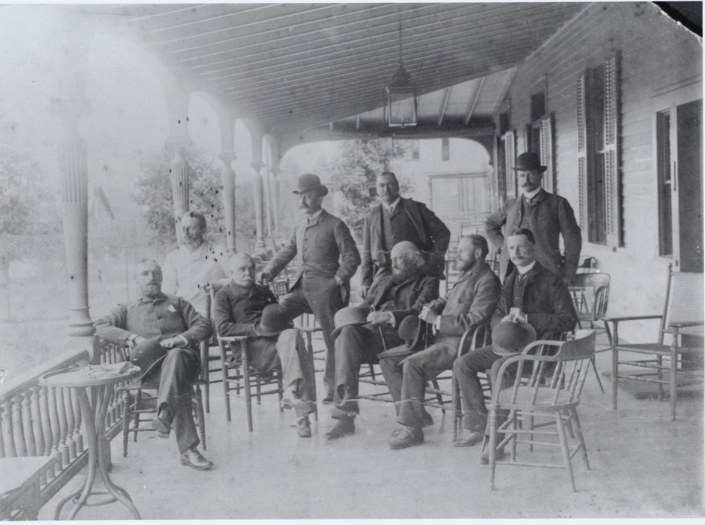 Beginning in the mid-nineteenth century, and accelerating rapidly after the Civil War, a stream of visitors came from New York, Boston, and other cities to experience the healthful climate, take in the views from its veranda, and join in the social activities that took place there. 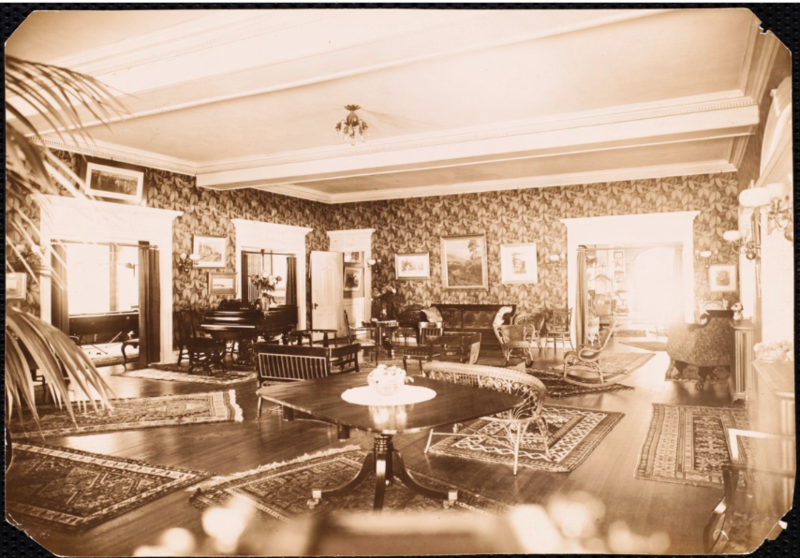 Many guests returned year after year: some, desiring more space and privacy than the hotel rooms afforded, rented houses on Main and Walker Streets, also owned by the Curtis’s. 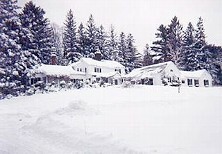 These became known as “Curtis Cottages” and their occupants as “cottagers”; this has been cited as the origin of the term “cottagers” to describe wealthy summer residents in Berkshire. 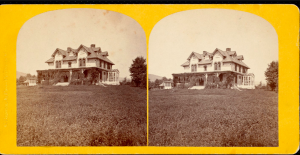 By the final decade of the 19th Century the Curtis served as overflow housing for owners of large estates, or was used by the estate-owners themselves before and after the “season” when their homes were not fully staffed. 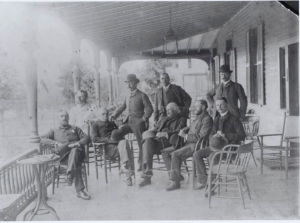 The building was greatly enlarged in 1883 and again in 1898 to accommodate these patrons. 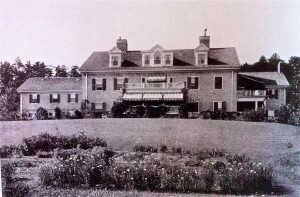 The Curtis family continued to operate the hotel through the 1930’s, but he decline of summer visitors to Lenox (brought about by the institution of the income tax and the stock market crash of 1929, which made the upkeep of a large estate nearly impossible; and the Depression of the 1930’s which restricted the traveling of most Americans) made the business difficult to keep up, and the building was sold after World War II. Although subsequent owners kept it operational as a marginally successful hotel, the building suffered from some neglect and deterioration. 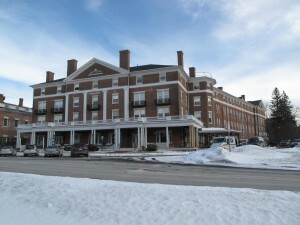 After failed attempts to revitalize the hotel by new owners in 1970 and 1976, the town of Lenox acquired the building in 1979 and converted it to use as housing for the elderly, with retail space on the first floor. Fernbrook was constructed in 1904 for Thomas Shields and Adelaide Knox Clarke. On West Mountain Road it stands today as Hillcrest School. 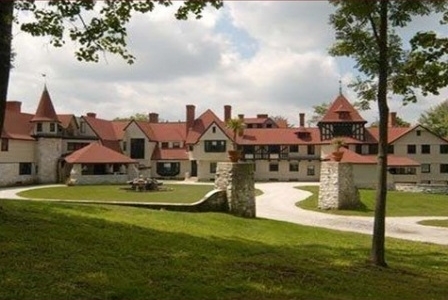 Valleyhead was built in 1902 for J. Frederick Schenck and Mary Louisa Stone Schenck. It is described as adjoining Home Farm so must have been on Reservoir Road above Undermountain Road. After it passed out of the family it was a therapeutic facility for awhile. It burned in 1987. Rounding the curve from Cliffwood to Undermountain, there is a beautiful vista across Undermountain Farm. Home Farm looks out over that vista. 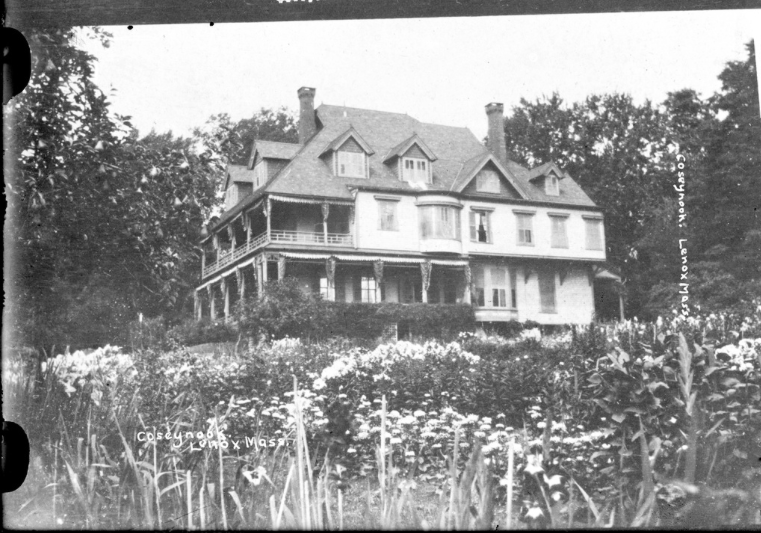 George C. Harding built this home for Dr. Henry P. and Caroline Ware Jaques in 1902. 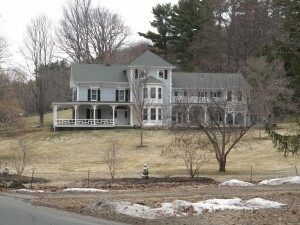 It has also been known as Waterford and Highjack Farm. It was described in David Woods’ Lenox Massachusetts Shire Town (1969) as adjoining the golf course. Something has changed in the terrain since then. It is still a private home. 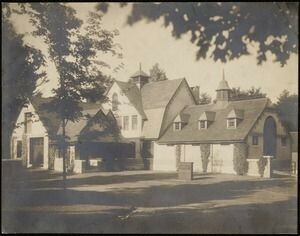 Undermountain Farm, across the street, was built, in the 1870’s, by Henri Braem (Stonover) as a model farm. 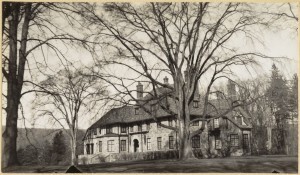 Hidden deep in the forest off Undermountain Road, Pine Needles was built by Winslow and Bigelow for George Baty Blake (1871-1928) and Margaret Hunnewell Blake (1878 – 1967). Landscape architects Brett and Hall of Brookline laid out the curving driveway as well as the sit of the stable and walls. 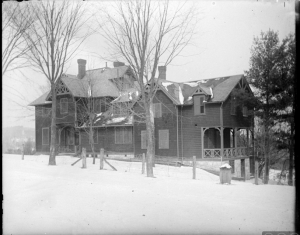 To attend to George’s tuberculosis, the couple lived in the house year round. The home is still privately owned. 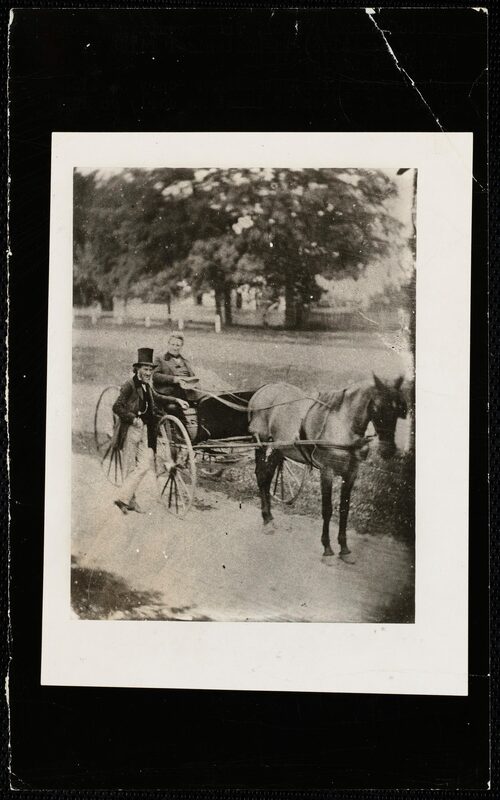 with a retinue of six coachmen, 21 horses and an army of servants. 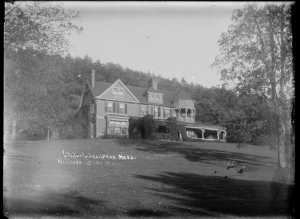 The large parties of guests often included Edward J. Woolsey who was married to William’s sister Emily. William’s brother John was a business partner. 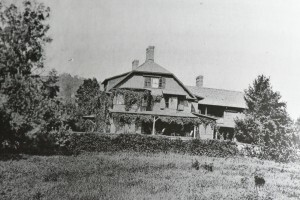 Between 1853 and 1860, the family accumulated 500 acres of the ridge. In a preview of things to come as Kennedy Park, the Aspinwalls and Woolseys allowed townspeople to wander through the scenic woods. 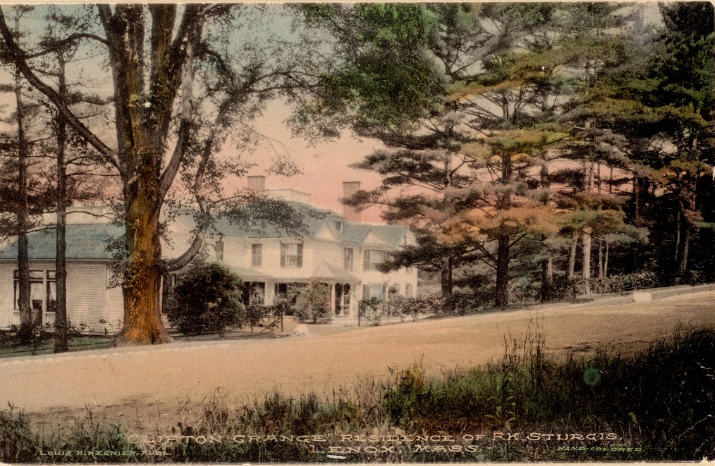 The house faced north – looking at Mount Greylock; the opposite of the Aspinall Hotel which was to follow in the 20th century – facing the southern view over Parson’s Marsh. The house is no longer standing. construction of the new Trinity Church. 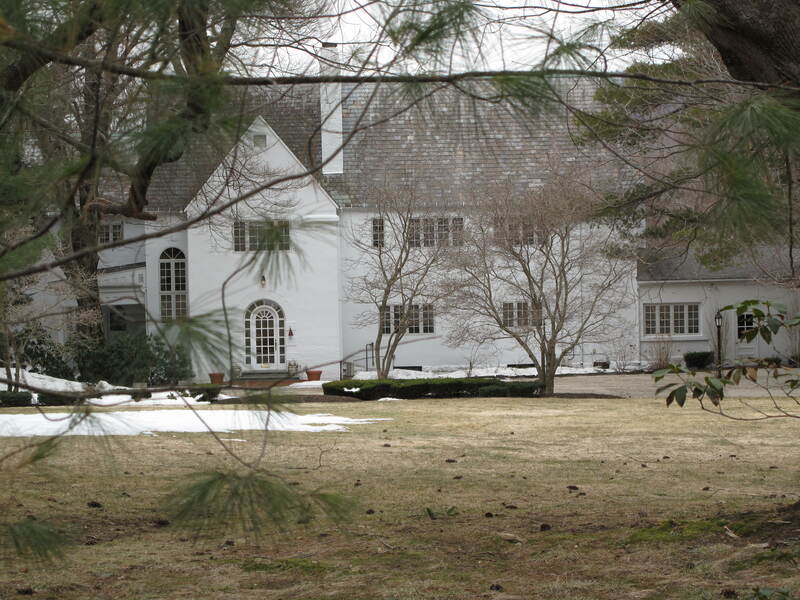 His wife, Ellen Schermerhorn, daughter of the widow Caroline Schermerhorn had grown up at Pinecroft in Lenox. The Dormers still stands above Route 20 north of town and is part of the Twelve Oaks condominium development. 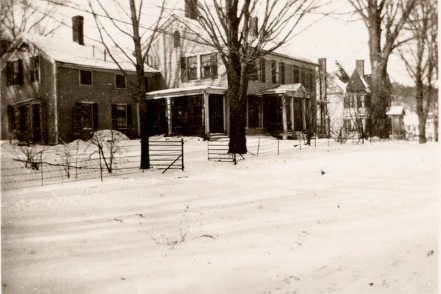 Many of the historic houses of Hawthorne Street are actually in Stockbridge – but they’re often associated with Lenox. Hawthorne Street as we know it did not exist at the time of some of the early estates discussed, so we’ll have to use some imagination as to location. When the Wards of Boston constructed Highwood, they touched off the era of Lenox as a resort. Intellectually curious and engaging, they attracted others to the lovely setting. 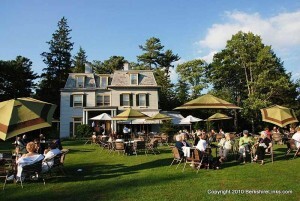 Highwood is now owned by the Boston Symphony Orchestra and is used for Tanglewood special events. property, they stayed at the red cottage that would be home to the Hawthornes in 1850 and then rented Highwood from the Wards. 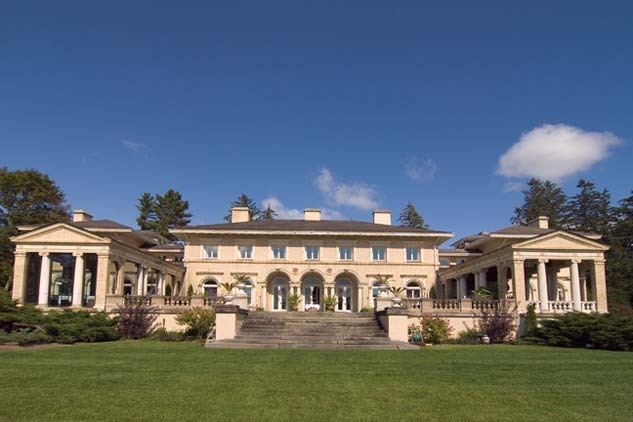 Given the highly cultural bent of this family, it’s not surprising that Caroline’s granddaughter, Rosamond Dixey Brooks, offered Serge Koussevitsky the family house, gardens, lawns and farm as a home for the summer music festival. and been designed by Peabody and Stearns with plans for the ground by Frederick Law Olmsted. Mrs. De Herdia’s husband died in 1918 but she continued to spend part of her year at Wheatleigh, until her death in 1946. Berkshires. The next step in the evolution of music in the area was Music Inn which drew crowds with acts ranging from Joan Baez to the Kinks. The outbuildings have now been repurposed as White Pines Condominiums. 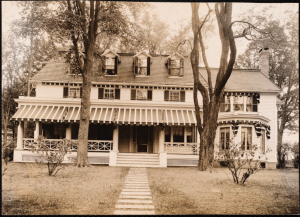 The couple that built (the second) Brookhurst exemplified how closely associated the cottagers were – in Lenox and elsewhere. 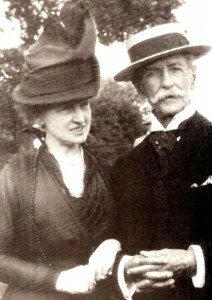 The husband in the couple, Newbold Morris (1868-1928) was Edith Wharton’s cousin and used many of the same designers that Mrs. Wharton had used on The Mount: Ogden Codman and Beatrix Jones (Farrand). The original Eastlake style Brookhurst (except for the stable and gatehouse) had burned. That gave the couple a free hand in building a new house and they hired Francis Hoppin to design a very different looking Georgian revival house. Newbold’s family had roots back to colonial New York and New Jersey. 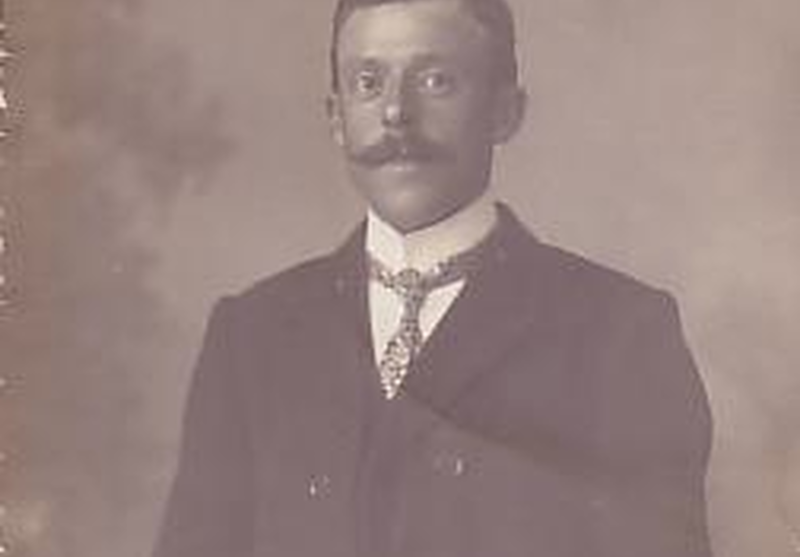 His wife, Helen Schermerhorn Kingsland Morris (1876-1956) was a second cousin with equally deep New York connections. 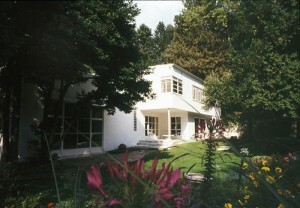 Of the three sons, one, George Morris, built his now famous modernist home and studio on the property with his wife, the former Suzy Frelinghuysen. It is now a museum open to the public. 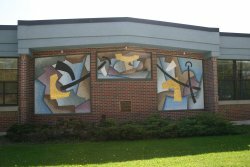 Morris painted an abstract mural which stands at the school entrance today. 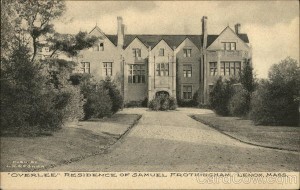 Another brother, Stephen, took over the main house, but had it reduced in size. That house has now been sold out of the family but remains in private hands. 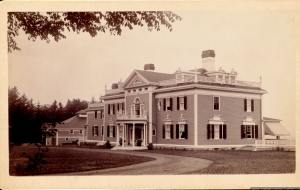 The Sedgwicks of Lenox set a flavor for 19th century Lenox that lingers to this day, so it is worth reviewing who they were and why they had the influence they had. One of the earliest Berkshire Sedgwicks and one of the most famous was Theodore Sedgwick (1746 – 1813). Theodore was born in West Hartford, a descendant of Major General Robert Sedgwick who arrived in Massachusetts in 1636 — part of the Great Migration. He graduated from Yale in 1766 and began practicing law in Sheffield. His career paralleled that of Major General John Paterson and other local Revolutionary War greats in that he participated in the Stockbridge Congress (1774), participated in the expedition to Canada, fought in the Battle of White Plains and was brought back into the fray during Shays Rebellion. As a matter of fact he was famous enough and wealthy enough by that time for his home to be the scene of a raid. 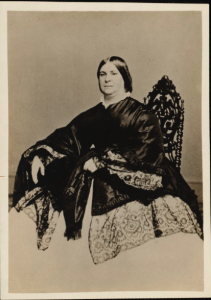 Theodore went on to a distinguished political and judicial career, but he his most remembered for his defense of Mumbet (Elizabeth Freeman). She was being mistreated by her mistress and was hearing all this talk of freedom so she came to Theodore Sedgwick to see if she could get her freedom. He won the case and it was determined that slavery was inconsistent with the just passed (1780) Massachusetts Constitution (which would be somewhat of a model for the national constitution). In addition to being a brave soldier and an outstanding jurist, Theodore Sedgwick had the wit to produce nine children — six of whom lived to adulthood. And yes, Kyra Sedgwick is a descendant. 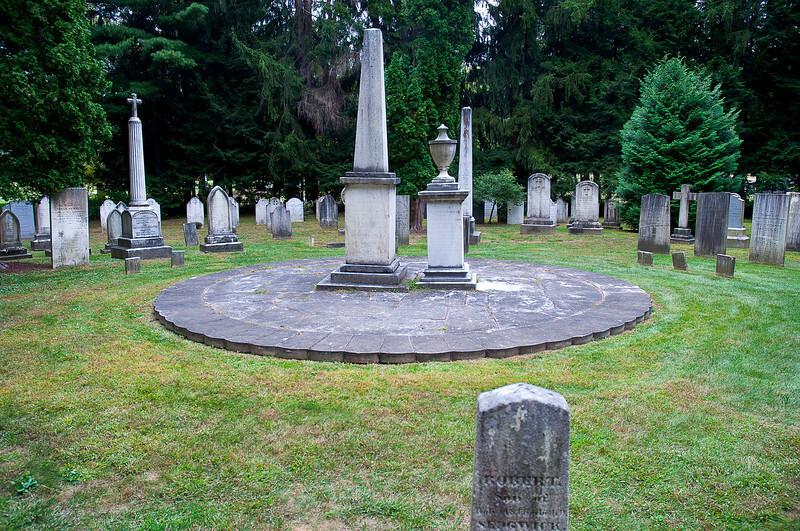 With a large and distinguished family you get to have your own section of the Stockbridge cemetery – and get buried as close to the founder as your distinction and bloodlines allow. The children were all the issue of his second marriage to Pamela Dwight. 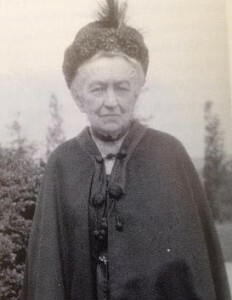 Pamela was the product of a distinguished lineage also — the daughter of Brigadier General Joseph Dwight and the widow – Abigail Williams Sargent. 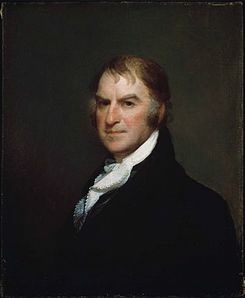 Robert Sedgwick (1787-1804) who was a lawyer in New York. He married Elizabeth Dana Ellery, grand-daughter of William Ellery, a signer of the Declaration of Independence. The last two – Charles in particular – became the Lenox Sedgwicks. Lenox had become the county seat in 1784 and Charles got a job as Clerk of the County Court in 1821. By this time his sister, Catherine, was a famous author. Although she described Lenox as a “bare and ugly little village,” apparently it grew on her as she spent more and more time at her brother’s home in Lenox. Catherine Sedgwick Wrote Many of Her Most Famous Historical Novels 1820-1850r. running and using every available tree for charcoal. 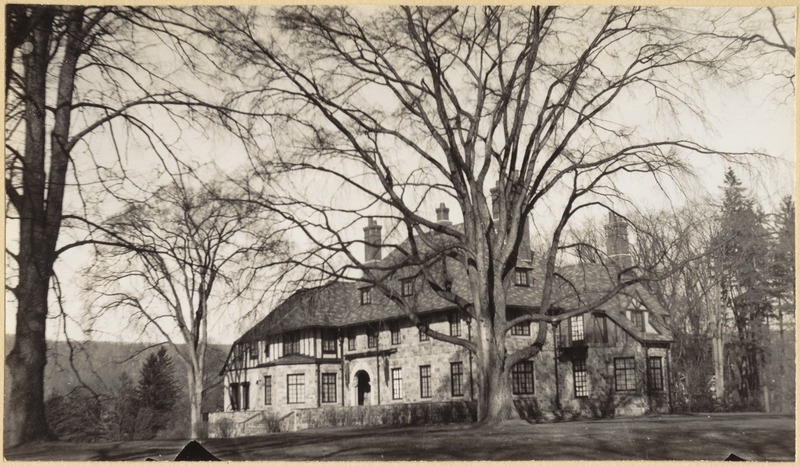 Charles’ wife, Elizabeth, started a tree planting initiative and Lenox did have some very handsome structures. 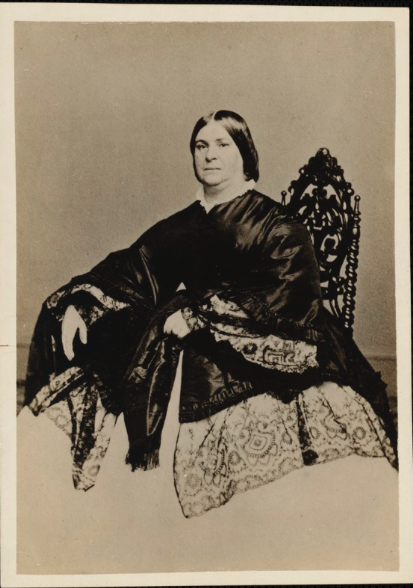 Charles’ wife, Elizabeth was apparently no slouch herself in that she ran a school out of her home that was the female counterpoint to The Academy for young men. Her school, founded about 1828, was very well thought of and included distinguished students such as Jenny Jerome – the mother of future Prime Minister Winston Churchill and Ralph Waldo Emerson’s daughter. By 1841, a separate building for the school appears on town maps. In 1824 the Charles Sedgwicks purchased a home that was to become known as “The Hive”. 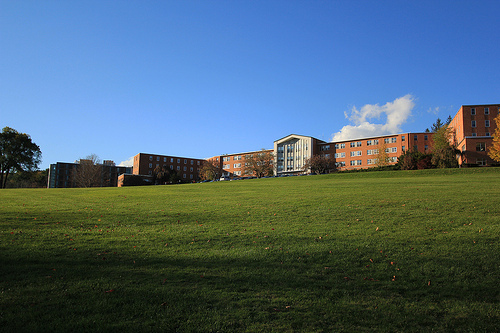 It was located where Spring Lawn is today. 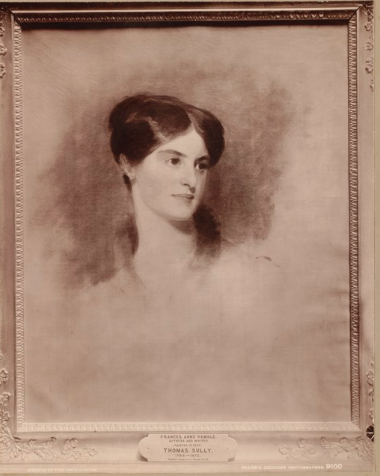 The combination of a charming couple of famous lineage, the presence of a distinguished female author and famous guests including actress Fanny Kemble, Ralph Waldo Emerson, Sophia Hawthorne (the author himself was not particularly sociable) and Henry Ward Beecher, “The Hive” became a magical cultural melting pot. 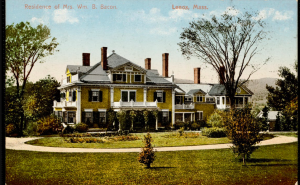 Between this cultural melange, educated individuals attracted to the courts and the two schools and the clean air and stunning scenery, “The Hive” and Sedgwicks of Lenox played a major role in putting Lenox on the early summer resort map. Corner of West and Main. Cozynook was built for George Tucker in 1865. This charming house would have been less a “cottage” than just a very nice, mid century home. It stands today and is apartments. There were multiple generations of Tuckers – each generation containing at least one attorney working on county and town business. One of the most recent, and most appreciated, public service was that of a recent George Tucker who wrote an unpublished manuscript that is a reference for local historians. 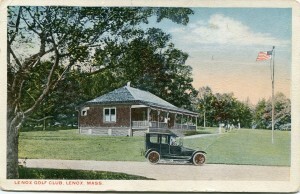 (see Lenox Library or Lenox Historical Society). 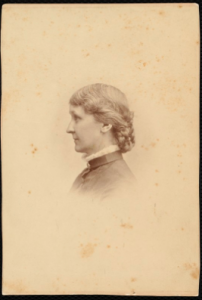 Alice Sturgis Hooper (1841-1879) was the daughter of Boston based Congressman and shipping magnate, Samuel Hooper. 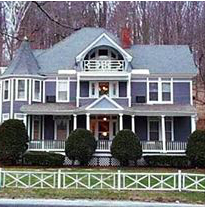 When she built the house that would be called Nestledown, she used a fanciful stick style similar to that used for Dr. Greenleaf’s Windyside so they might have had the same architect. It is described as being on the site of the former gallows on the steep part of West Street. That would place it someplace between the Paterson Monument and Kneeland. 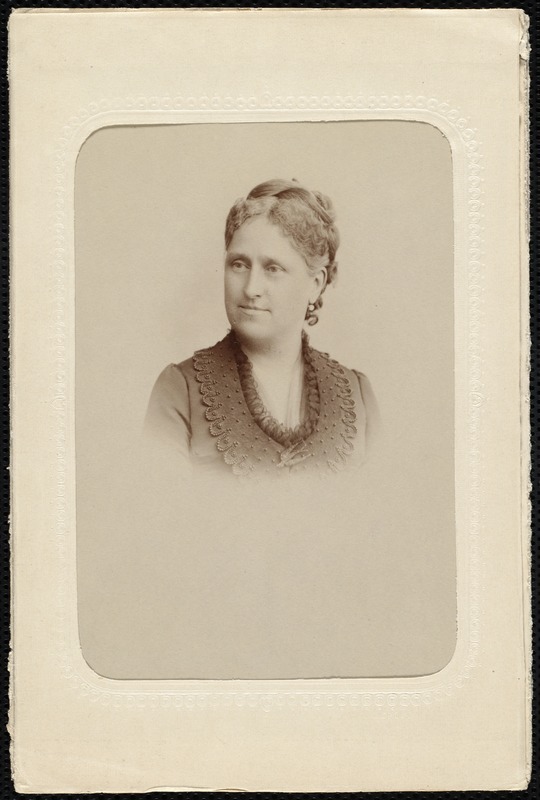 She was active in cataloging the Lenox Library. She died (tuberculosis?) 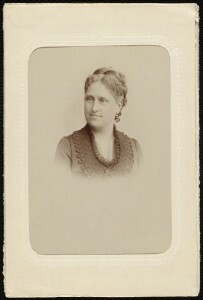 in 1879. A home called Summerwood was built on this site (where Kneeland Ave. currently intersects West St.) for Sarah Starr Lee about 1847. Lenox born Sarah’s grandfather, Joseph Goodwin, had been a partner in the early iron works. 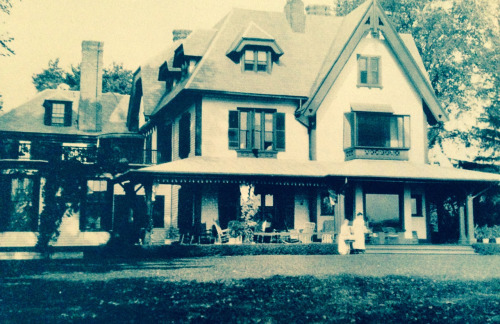 Hawthorne’s Lenox includes colorful stories of the wealthy widow’s life at Summerwood. complete without one) a strict aunt who disapproved of George Haven Jr. who she loved. So Adele remained single and poured her energy into Trinity Church and a magnificent garden at this site. 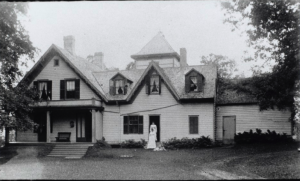 In addition she had Ogden Codman do the decorating – so the house must have been lovely inside and out. 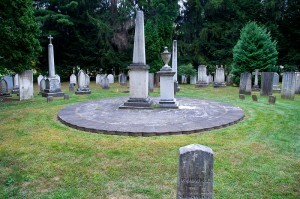 The site was in place until at least 1937 when Adele died. Her nephews eventually had it demolished and the site was broken up into lots that now contain the housing along Kneeland Avenue. 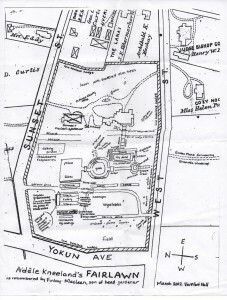 The extent of the gardens is shown on this drawing. It must have been a beautiful site walking down West Street. 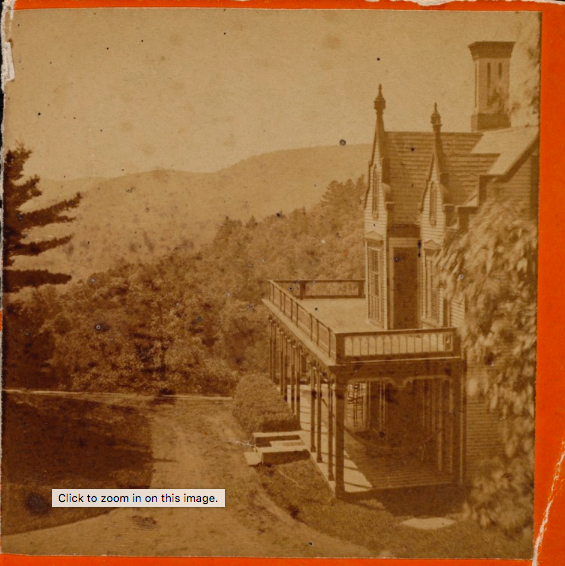 Per David Woods appendix: built 1860 by Mrs. F. R.. Beck, bought by Charlotte Cushman in 1875. She died soon after and it was sold to Emma Stebbins. Demolished; where Brunel Ave. housing is currently. Constance Irving Brevoort Sedgwick. Ellery was the nephew of Charles Sedgwick of “The Hive” and the Lenox county courts. 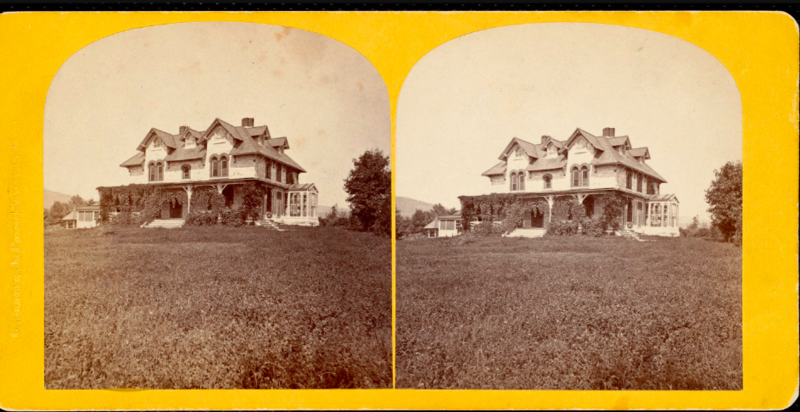 This seemingly “golden” couple fell out of domestic bliss* and the house was sold in 1871. 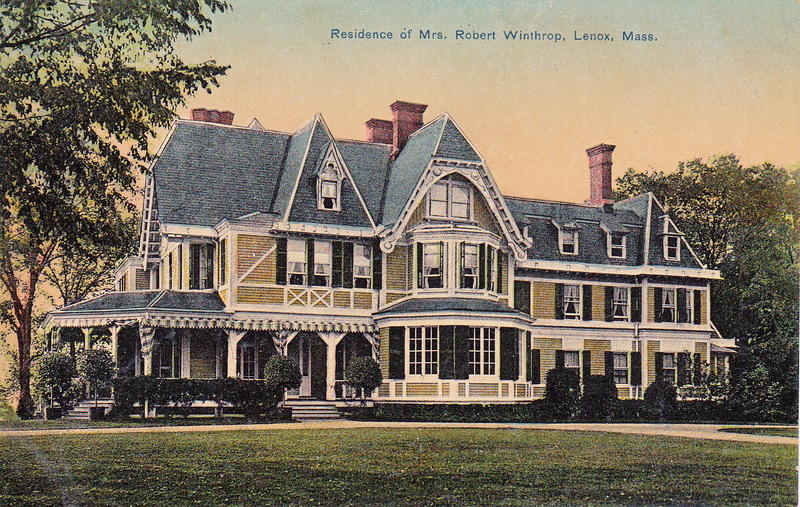 Subsequent owners did a good deal of re-building until the property was sold in 1902 to Grenville Winthrop. 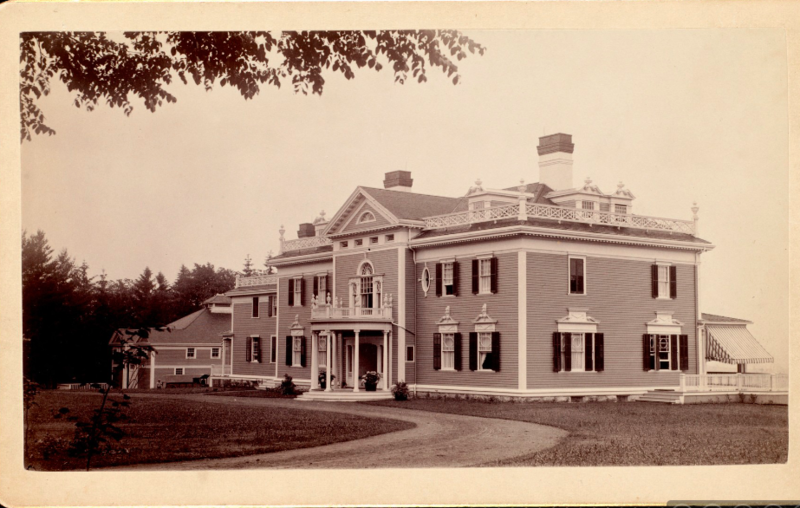 Grenville, who later some colorful domestic issues of his own*, changed the name to Groton Place, expanded the house, purchased additional property and invested in major landscaping. 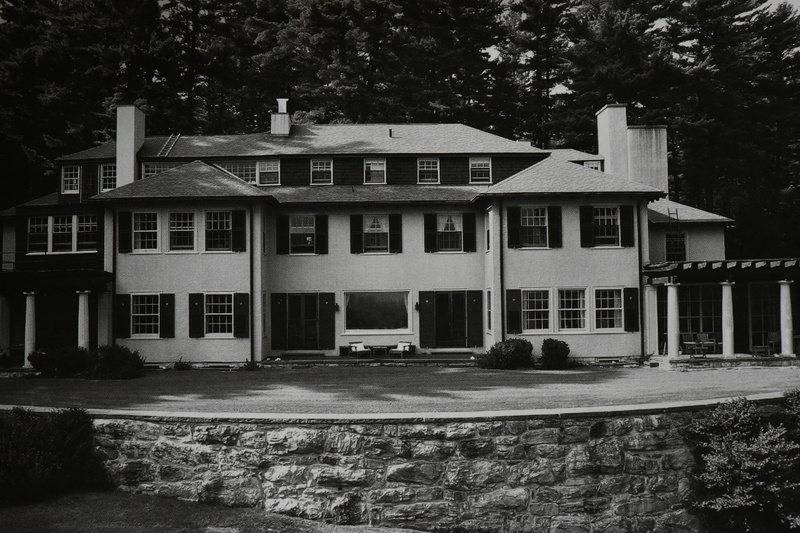 Beginning in 1946, Groton Place became the home of the Windsor Mountain School. 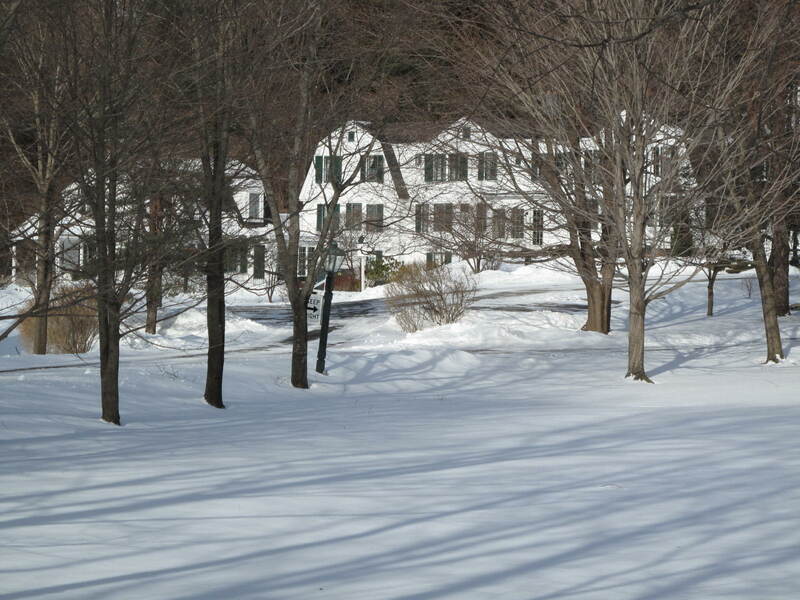 It is currently the home of the Berkshire University Tanglewood Institute. which burned to the ground in 1956. It had been gifted to the Jesuits in 1922 after one of its many illustrious residents, Andrew Carnegie, died there in 1919. Itwas built in 1893 by Anson Phelps Stokes and, at 250 rooms was, for awhile, the largest house in America. Shadow Brook did not replace Oakwood as much as consume it. 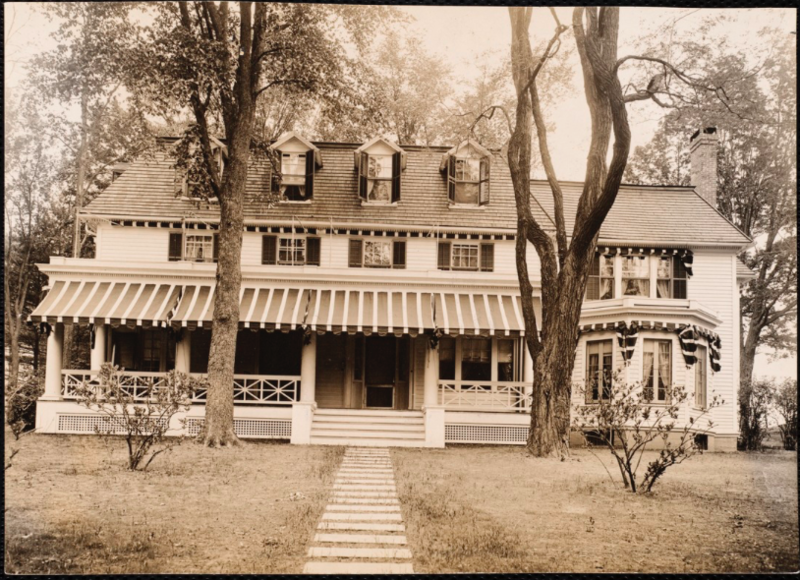 Oakwood had been built by Charles McKim for Samuel and Anna Ward, who had originally built and owned nearby HIghwood in 1844 – essentially kicking off Lenox as a resort community. 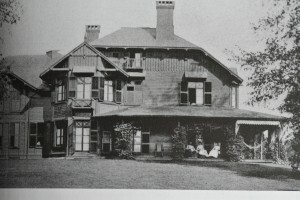 The Wards sold the property to Anson Phelps Stokes in 1891. Stokes used it as a stable and it burned to the ground in 1903. 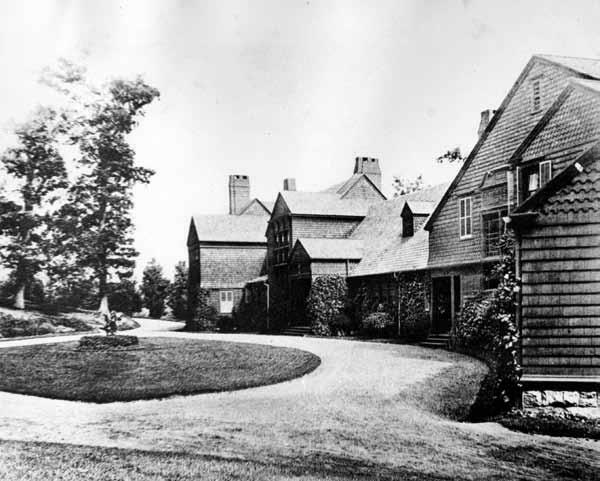 In 1860 George Higginson, Jr. (1832-1921) purchased the Wilcox Farm next to what would have been the Tappans’ place (now Tanglewood). His purchase included 150 acres and a view of what is known today as Gould Meadows and an old farmhouse. George’s family was friendly with the Wards (Highwood) and Oliver Wendall Holmes and he had been a frequent Lenox visitor. After started a career (with his uncle Henry Lee and William Bullard) in the East India trade, George decided to commit to the life of a gentleman farmer and proceeded to study “practical farming” and set up a model farm. By 1862 he had transformed the old farmhouse and brought home his bride, Lili Barker Higginson (1836-1901). 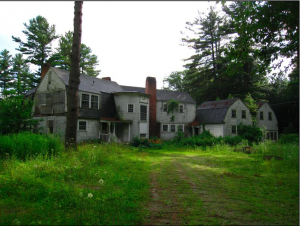 This attractive site was originally a farmhouse called The Pines owned by Juliette Starr and Richard Perkins Dana. They sold the property to Charles Bristled Sr. in 1864. 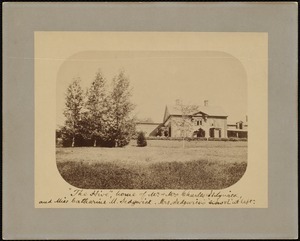 The original farmhouse on the property burned in 1885. The Colonial Revival home that stands today was built for Charles Bristed’s son, also Charles Astor Bristled, by Pittsfield architect H. Neill Wilson of Pittsfield The architect had also designed the mammoth Shadowbrook next door. The younger Charles practiced law for a few years but was primarily living on his considerable Astor fortune. Over time, he expanded his Stockbridge landholdings to over 400 acres. Even that wealth thinned out after Charles’ death in 1936. His daughters continued to stay at Lakeside and the property remains in family hands. Initially known as Bechwithsaw, Bonnie Brier was built by Harry Weeks and H. Neil Wilson for Mark Hanna. 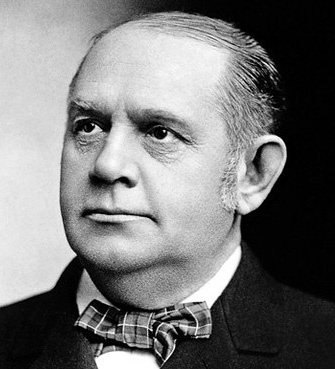 Mark Hanna was the Ohio kingmaker largely responsible for making McKinley President. Hanna assembled about 1,100 acres including 2,500 feet of frontage on the Stockbridge Bowl. Leonard Forbes Beckwith had a “villa” on his 500 acres which was remodeled and then disassembled by Mrs, Samuel Hill of Seattle, who had also added to the acerage. 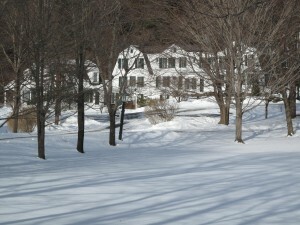 Mark Hanna used the property to raise prize stock. 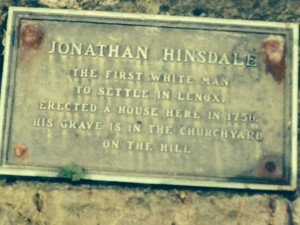 It passed to his son Daniel Rhodes Hanna before taking up its history as a school. 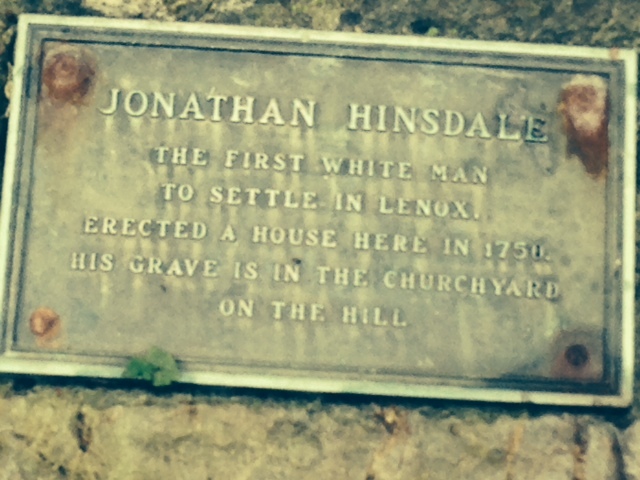 A plaque across from Hawthorne Street celebrates the location of the first settler of Lenox – Jonathan Hinsdale. It was, for a long time, the primary north-south route to Stockbridge and it has beautiful views. 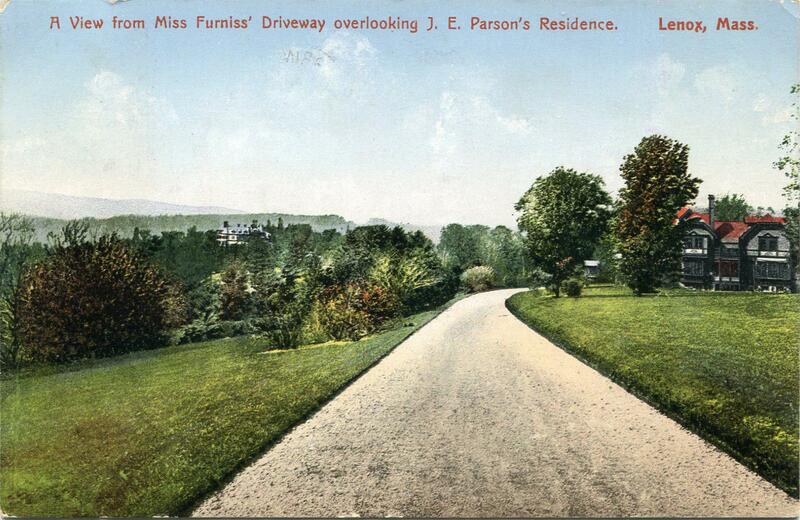 So it is not surprising that this street was a major location for beautiful homes – in the early days up to today. Some remain, some are gone. Not a “cottager”from a wealth stand point, but an important figure in Lenox’s Gilded Age era, Rev. Justin Field was a long-time (1862-1890) rector of Trinity Church and a leader in constructing the new church on Walker. The space was also used as a boarding facility for students of Elizabeth Sedgwick’s school — including young Jenny Jerome (future mother of Winston Churchill). In keeping with the newly robust and wealthy congregation, the space was upgraded to the Tudor-like structure that stands today at 20 Old Stockbridge Road as a private residence. 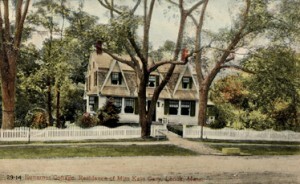 In 1892 a new rectory was built on the Trinity Church grounds. 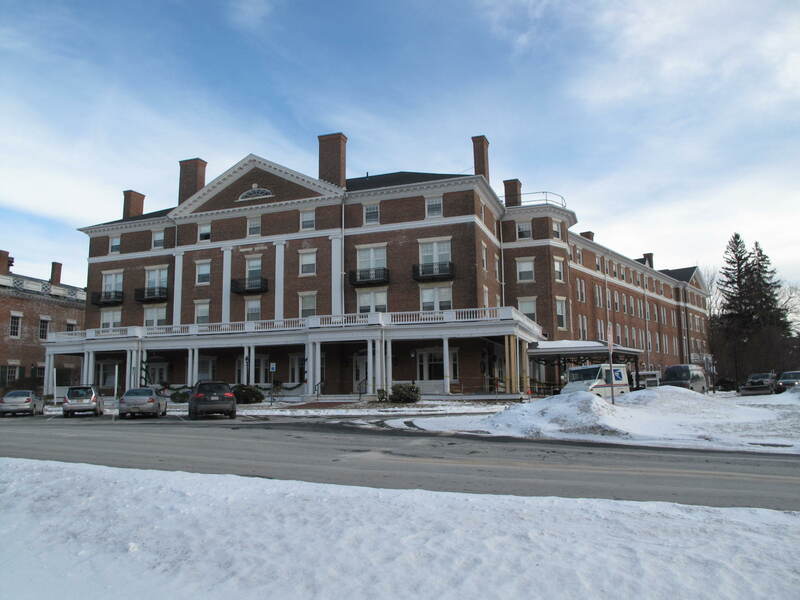 The building that still stands today as privately owned condominiums, was similarly, a re-work of an earlier structure and a facility for wealthy visitors. 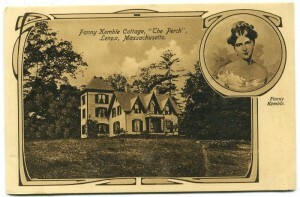 It has also been referred to as Tanner Cottage. 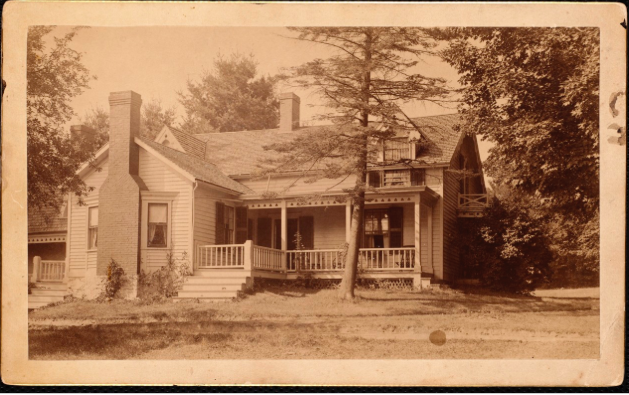 One of the first buildings you encounter on Old Stockbridge Road, now the Rockwood Inn, began life elsewhere. 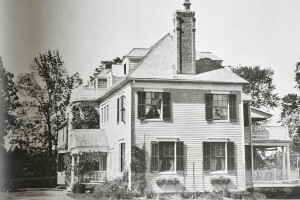 It was known as the Williams Tavern in 1825 and was located where Main and Cliffwood now meet. It would have been one of many taverns that did a land office business during Lenox’s busy court days. 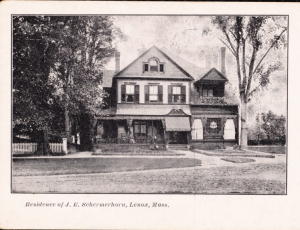 Around 1880, the building was purchased by Leonard Constance Peters who started a number of successful businesses in Lenox. He added the Victorian front of the building in the late 1880s. As with many successful Lenox businesses at the turn of the century, he catered to the estate owners by providing lodging for their secretaries and horses for hire. 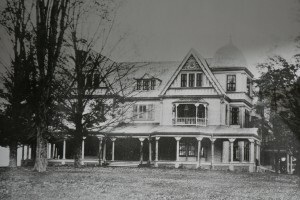 Redwood was built about 1880 for S. Parkman Shaw. 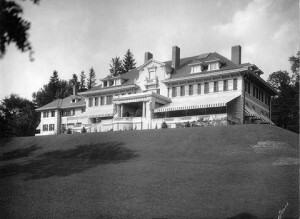 Later owners used the name Beechknoll. George and Elizabeth Turnure built Beaupre in 1902 roughly where Turnure Terrace stands today. 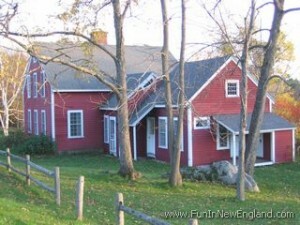 The house picture here reflects alterations to an 1867 structure. The 1961 fire was thought to have been caused by some Windsor School students. George Turnure was a New York banker and the father of a 21 year old WWI flying ace. His son was killed and, in his honor, George built the Lenox Brotherhood Club on Walker St. that would become the Lenox Community Center. This described in David Woods’ Lenox Massachusetts Shire Town (1969) as being on the west side of Lanier Hill on Old Stockbridge Road. 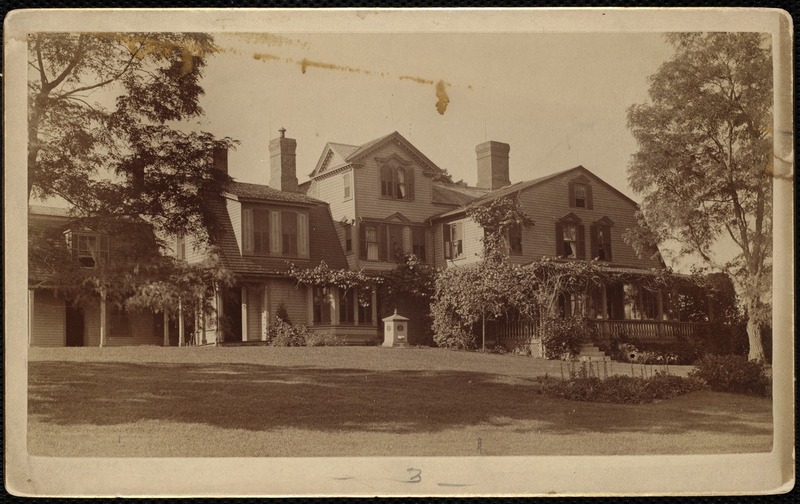 The house (apparently extant at that time) is dated to the late eighteenth century although “modernized” in 1870 by Alfred Gilmore. 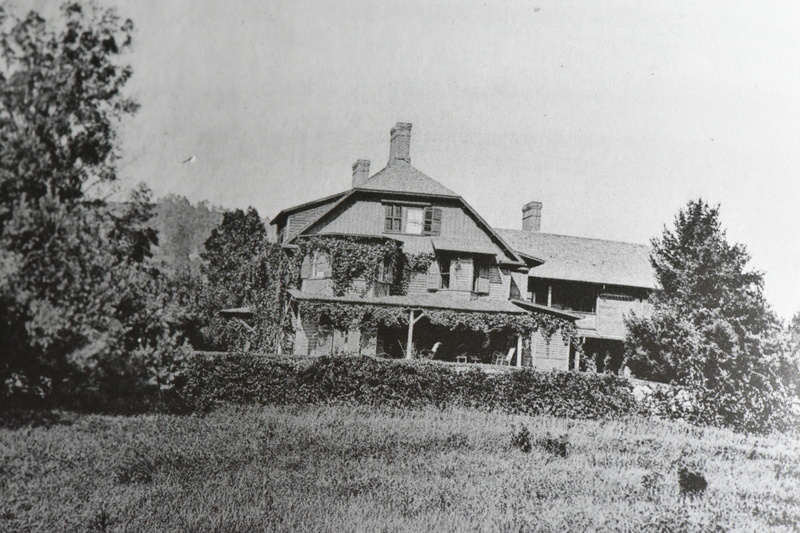 In another example of cashing in on resort development, Frederick Rackemann bought a local farm in 1882 and constructed this house for rental. 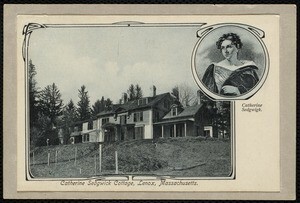 Rackemann was married to Elizabeth Dwight Sedgwick and lived at the Hive. The Harrisons were originally from Richmond, Virginia. 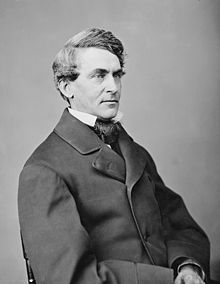 Burton Harrison served as the personal secretary to President Jefferson Davis. Constance was a direct descendant of Thomas Jefferson. After the Civil War the Harrisons moved north and became prominent members of New York society. Like many of their contemporaries, the Harrisons chose to leave the city for the summer season. They rented the Lenox cottage and entertained their friends there. 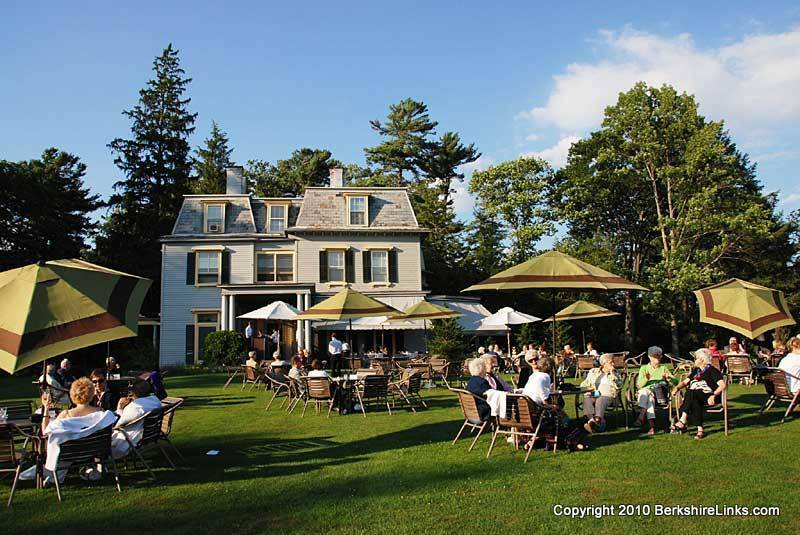 Guests included the Andrew Carnegies, Dr. Oliver Wendell Holmes, and the poet Emma Lazarus. 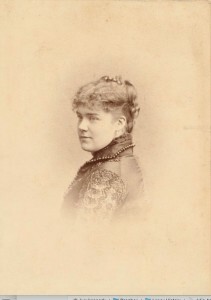 Constance was a popular novelist and playwright. She enlisted some of her friends to act out parts of her plays in the library of the Lenox house. 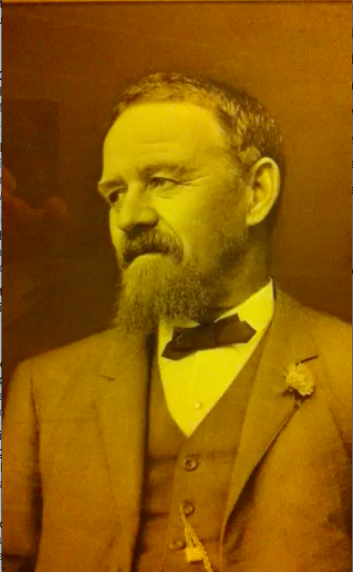 Frederick Rackemann died in 1900, and to his butler, James Whittenham. Whittenham was in the odd position of having the building, but no property on which to situate it. 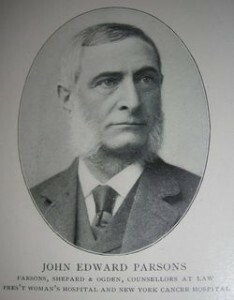 He purchased real estate on Hawthorne Street from Bertia Parsons, the widow of Julius Parsons. 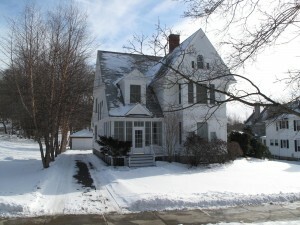 The cottage was moved down the hill, and found a permanent home at 15 Hawthorne Street. It is currently operated as a bed and breakfast. 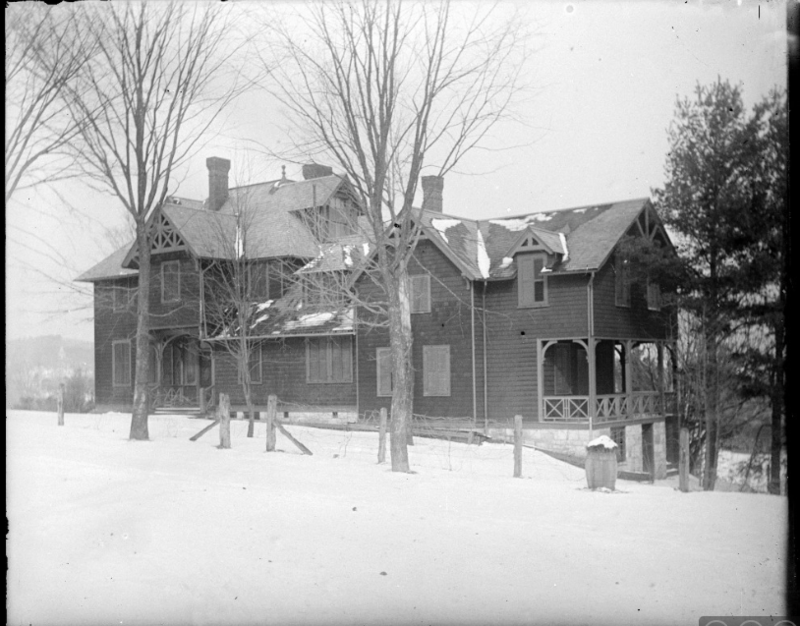 Parenthetically, on its way down the hill, the house passed the famous elm tree where a fatal sled accident had occurred. 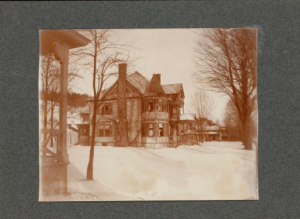 Lenox resident Edith Wharton later based her novel, Ethan Frome, on the accident. The tree was eventually removed, but a grassy triangle still marks the spot at the intersection of Old Stockbridge Road and Hawthorne Street. It was purchased in the 1970’s by Ruth Backes, a direct descendant of Ralph Waldo Emerson. 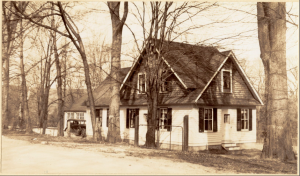 Her family history is important because Emerson was involved in the original Brook Farm, a utopian cooperative community of the 1840’s; Ruth Backes changed the name of the inn to Brook Farm Inn. 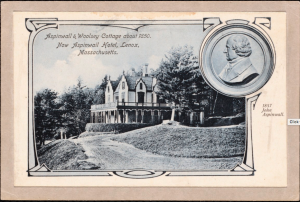 Nathaniel Hawthorne was also involved in the original Brook Farm, and based his novel, The Blithedale Romance, on his experiences there. How ironic that the inn is located on Hawthorne Street! 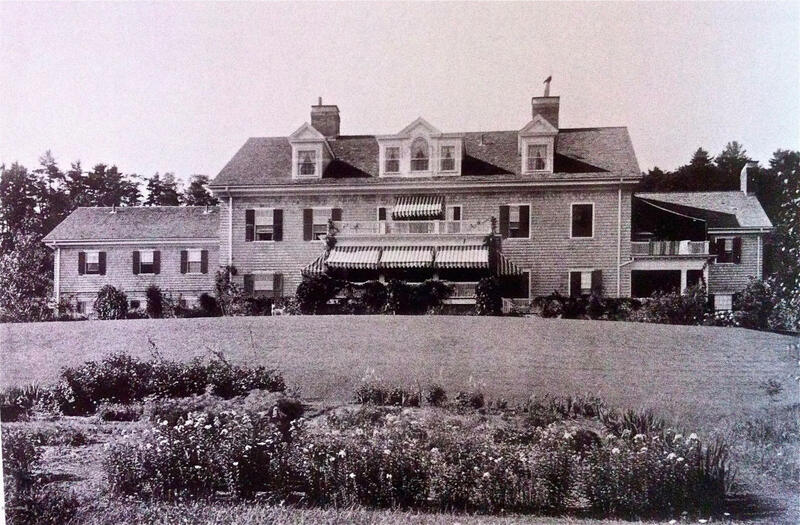 The original house on Yokun Farm had been built by the William Walker family (one of three Lenox properties William Walker owned) and passed to the Goodman family — perhaps after the Walkers moved to their house in town. Ananda Hall was razed shortly after Cortland died and only a rock wall remains on Old Stockbridge Road. The Winter Palace he had built off Kemble remains. The Bishop family also built two houses (for all those overflow guests!) on Walker Street that stand today. 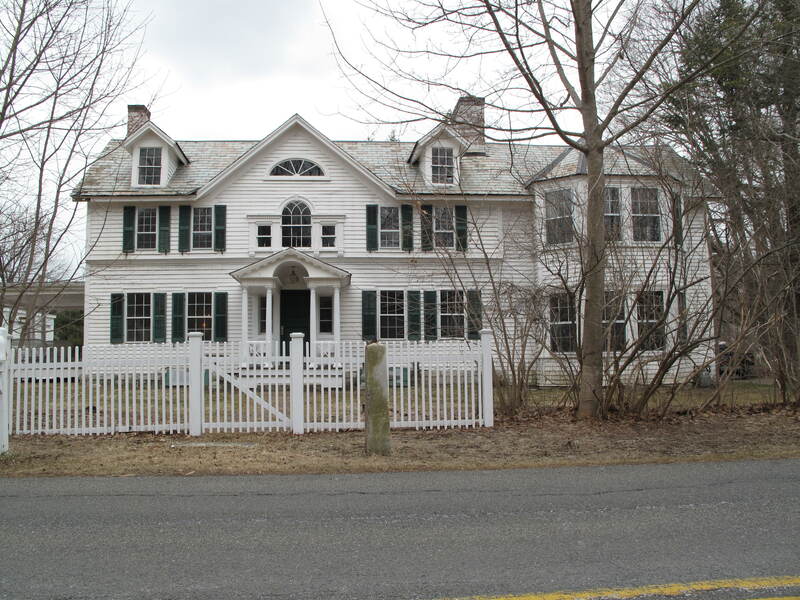 The rest of the former and standing estates start bleeding into Stockbridge, but their owners probably would have socialized toward Lenox. 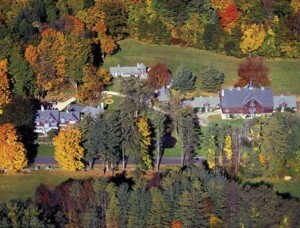 Allen Winden was built next to where Yokun Farm had been and had a spectacular view. 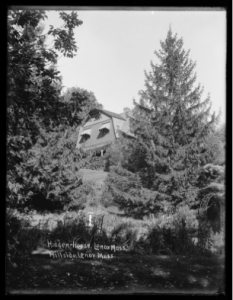 The house, apparently named for a town in Switzerland, was built in 1882 by Charles Lanier (1837-1926) and Sarah Egleston Lanier (1837-1898). 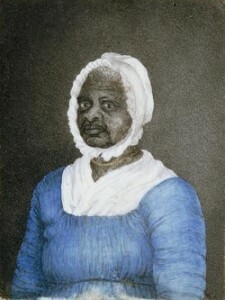 Sarah was a descendant of Azariah Egleston, one of Lenox’s Revolutionary War heroes and early town leaders. 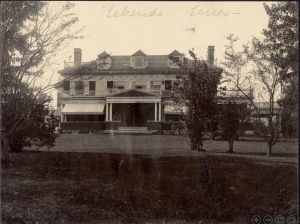 Lanier, a banker and investor, lived the good gilded age life with lavish hunt breakfasts and weddings in Lenox plus membership in the famous Georgia Jekyll Island Club and J.P. Morgan’s Corsair Club. Good thing – since J.P. Morgan, a frequent business partner, had to bail Lanier out a couple of times. 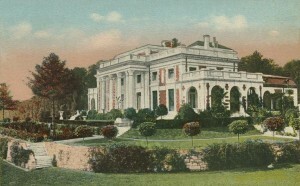 The elaborate house was demolished, after Lanier’s death, in 1926 and replaced by a plainer Henry Seaver design. 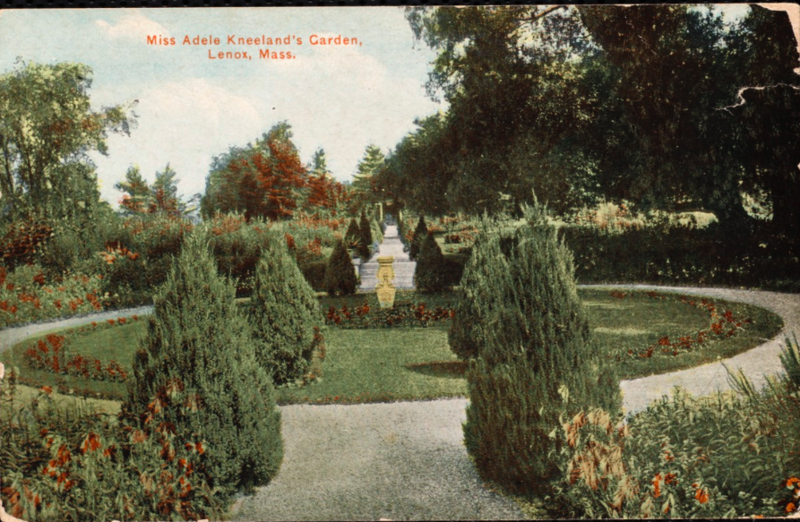 The elaborate landscaping was divided up into lots and it is now the Winden Hill Condominium complex. 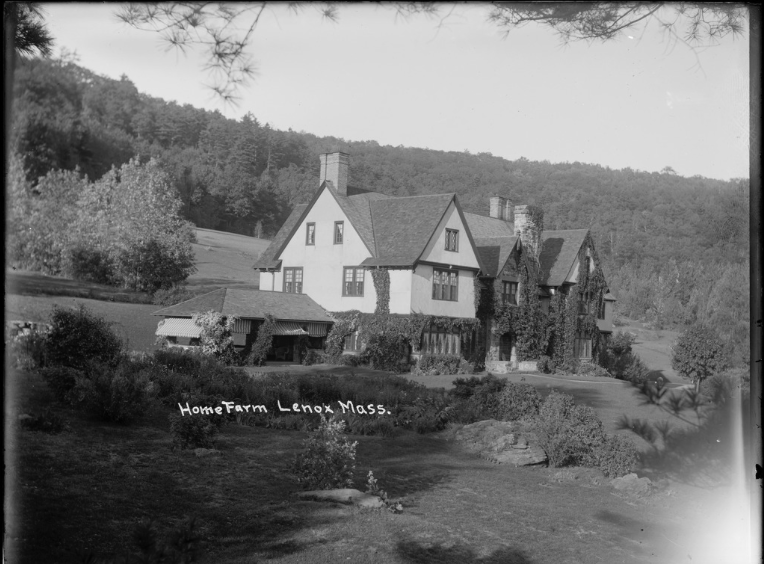 Olmsted, it was commissioned by William Douglas Sloane (1840 – 1915) and Emily Vanderbilt Sloane (1852-1946). He was the son of the prosperous Sloane furniture business and she was the granddaughter of Cornelius Vanderbilt. 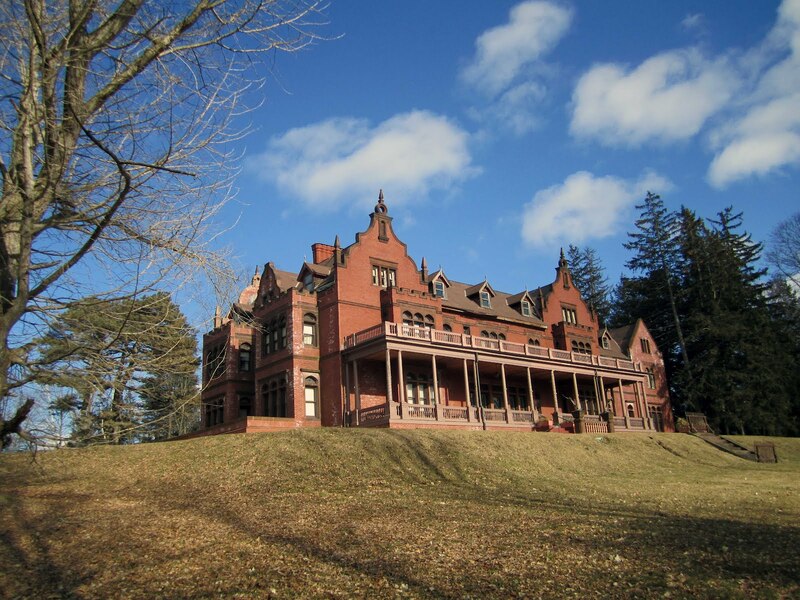 Miraculously, the property has survived and the current owners are seeking approval to build a luxury hotel around the gilded age complex. 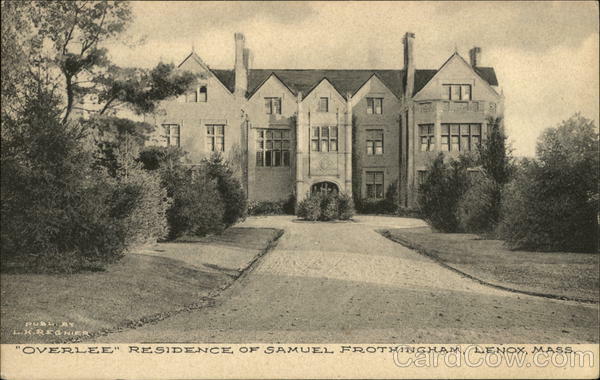 Overlee was being built the Frothinghams stayed at the Poplars across Old Stockbridge Road (also no pictures). As the hunt club gather shown above suggests, the Frothinghams were avid athletes and were active in the hunt club, golf and gardening. Before settling into its current role as the Hillcrest Educational Center, it had been, along with so many other former estates, a boys’ boarding school. 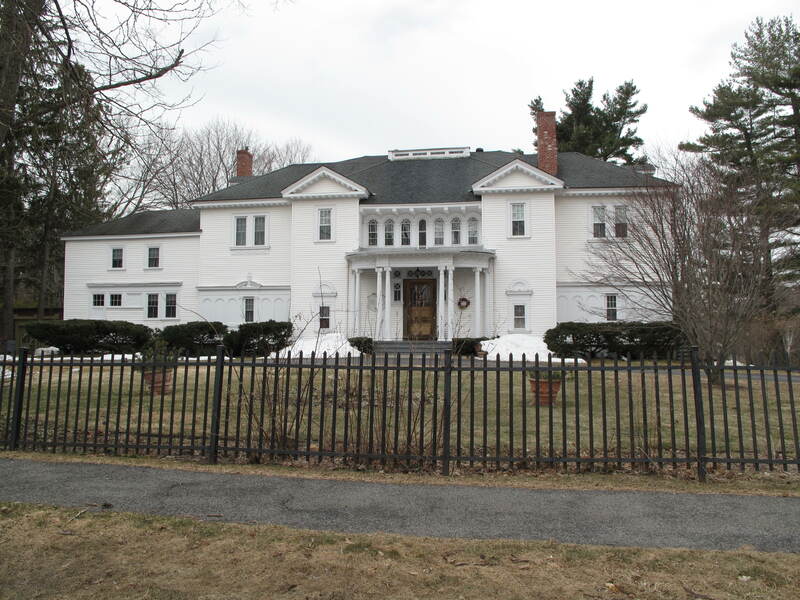 Colonial Revival Merrywood was built in 1882 by Peabody and Sterns for Charles Bullard (1857-1911). He had grown up at Highwood and was the son of East India merchant William s. Bullard. For awhile it was operated as a Music Camp. Its fate is uncertain. Known to have existed near Bean Hill Road (the Frothinghams lived here prior to the construction of Overlee) but limited additional information. 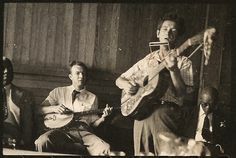 1936). It is notable as one of the few stick style wooden buildings still standing in Lenox. For awhile, the it had the additional distinction of having one of the earliest American designed golf courses. Upon Greenleaf’s death in 1913 the house, outbuildings golf course and the entire ninety acres was purchased by the Club which moved in 1914 from its smaller club house on Walker St. 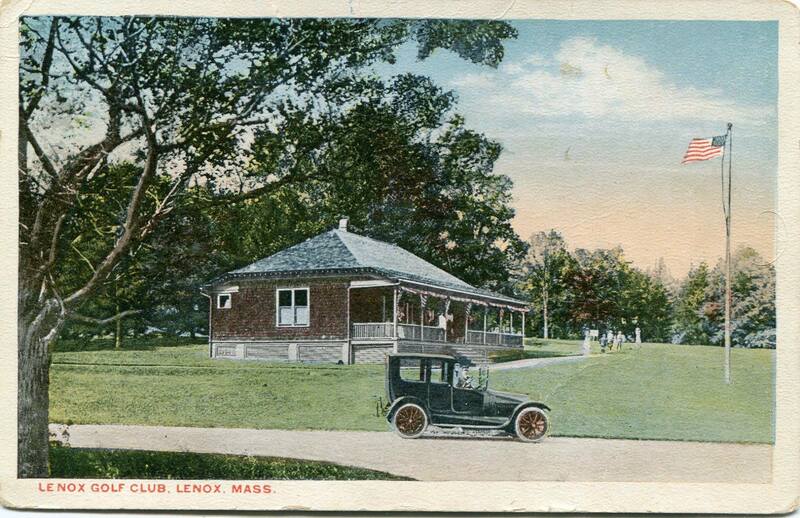 In 1924 the nine hole golf course was expanded to eighteen holes and the ‘Lenox Golf Club’ was formed in association with the Aspinwall and Curtis Hotels both of which used the course for their guests. 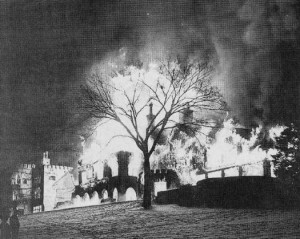 The arrangement lasted until 1932 when the Aspinwall Hotel burned. This event and the difficult financial situation caused by the Great Depression led to abandonment of the golf course which gradually became replaced by a heavily wooded forest. Interest in the Club was revived and major improvements to the clubhouse and grounds were initiated in the 1980s.The course was expanded in the 1920’s and shared with the Curtis and the Aspinall. The destruction of the Aspinall and the general financial mayhem of the 1930’s made the gold course unaffordable and it is now grown in. 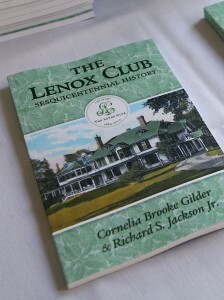 Fortunately, the Lenox Club was revived in the 1980’s and the building survives as a private club. In 1875 Henry Braem (associated with the Cunrad Line and ambassador to Denmark) built the original Ethelwyn (or Ethelwynde) off Yokun Ave. Then as now, his neighbor was Windyside (now the Lenox Club) built around the same time. In the 1870’s Henry also built a model farm on Undermountain Road. on West. St. The Wintwops were “those” Winthrop’s who led the great migration and had generations of wealth and notoriety. Mrs. Wintrop (ne’ Kate Taylor) was wealthy in her own right. Her father had been a partner of Cornelius Vanderbilt and first president of City Bank (predecessor of the modern Citibank). Mrs. Winthrop was, not surprisingly, a social leader in Lenox and New York. Among other things, she was active in the summer garden club competitions (think Downton Abbey). 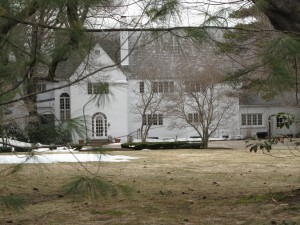 In 1928 the house was purchased by Halstead Lindsley. 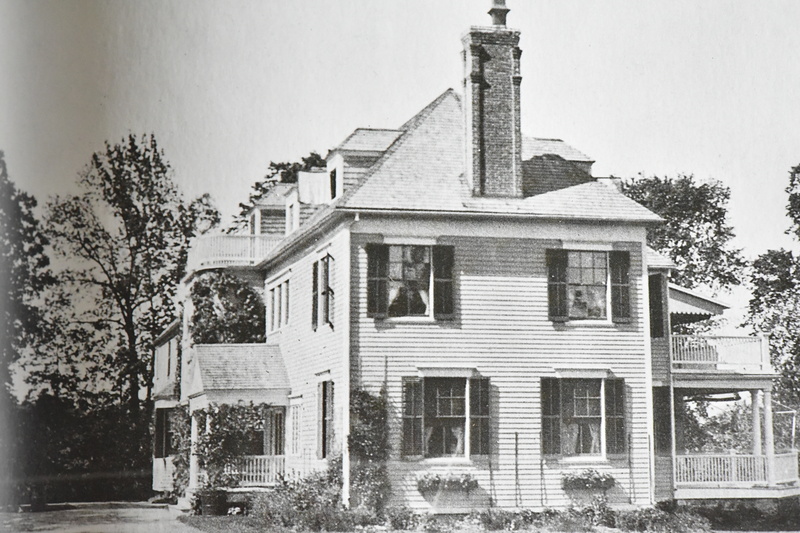 He tore down the wood framed original house and had a local architect, Benjamin Greeley, construct the modern Tudor-style mansion that stands today. 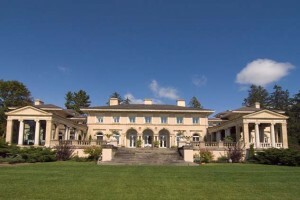 Recently operated as an upscale cultural retreat, it is now a private home. 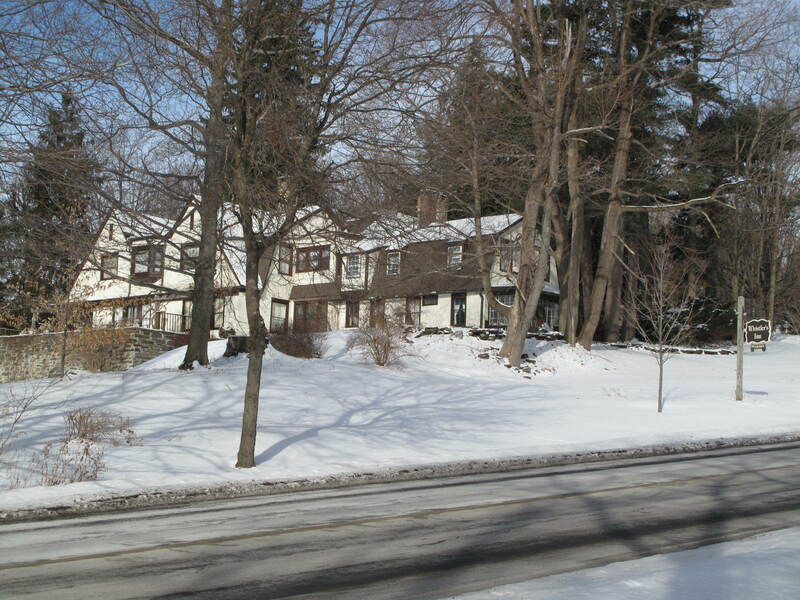 Ethelwyn had Winndyside as a neighbor on one side and Stonover as a neighbor on the other. Still a lovely street today, Yokun Ave. was newly created in 1874-1875 and must have been quite spectacular from the 1870’s on. 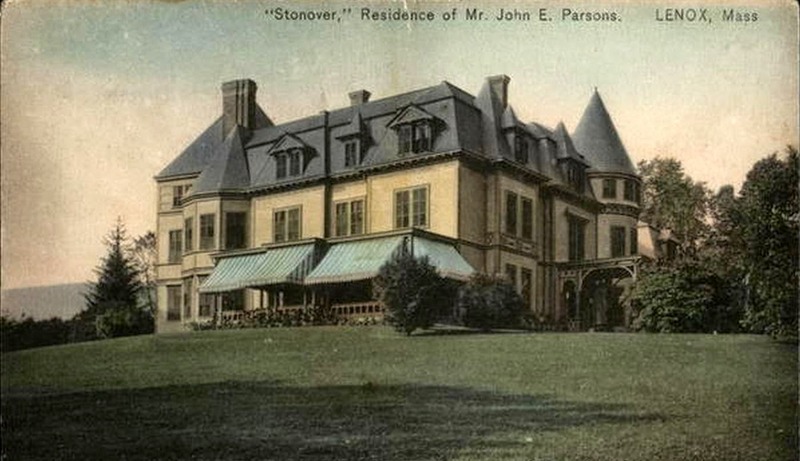 Stonover was built by John Edward Parsons, (1829-1915) a New York Attorney. Among others, his clients included the American Sugar Company. He defended them to the Supreme Court in an anti trust case – very Gilded Age! the area now known as Parson’s Marsh. the still standing Stonover Farm and over Lenox Mountain to what is now the Audubon Bird Sanctuary. inherited the farm (and died there in the 1920’s a freak accident). 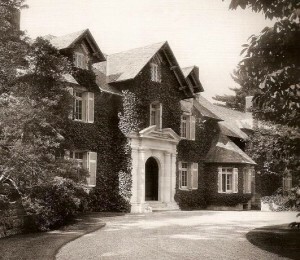 His daughters (Mary and Gertrude) inherited the house and after some adventuresome travel, re-invented it in 1921 with a Delano and Aldrich design. They moved the house further back on the property, dispensed with the turrets and mansard roof and created a sleek stucco house that became a center of mid 20th century culture with speakers like Alexander Kerensky. Mary (Gertrude died in 1927 on a trip to Italy). Stonover II was demolished in 1942 and replaced with a 20th century house. Gusty Gables. 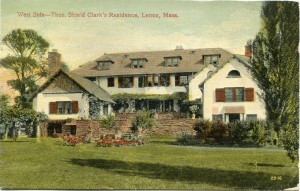 The Colonial Shingle Style home is the only surviving Lenox design of Charles McKim. 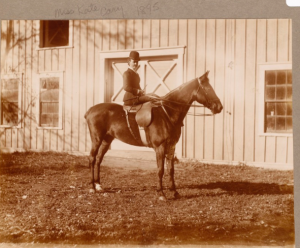 The survivor of the three, Mary Carey, was an avid horsewoman and active in the Village Improvement Society. 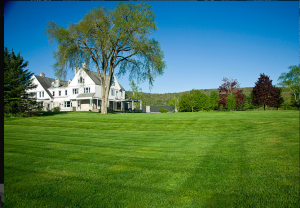 She, with Edith Wharton and Florence Sturgis awarded prizes for the best-kept village lawns and front gardens. 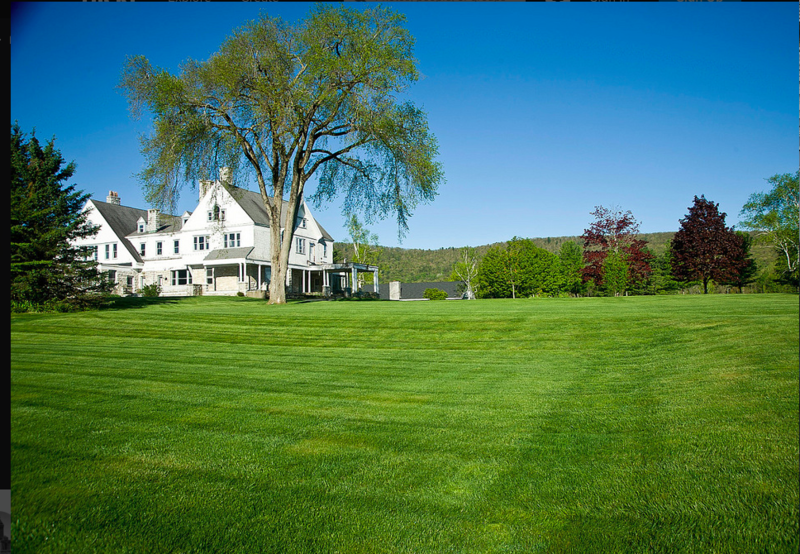 Carolyn Cobb, a later owner hired Pittsfield architect Henry Seaver to update the McKim design to a more formal Colonial Revival style. The building survives as a private residence. The caretaker’s cottage (much altered) still stands on Sunset. 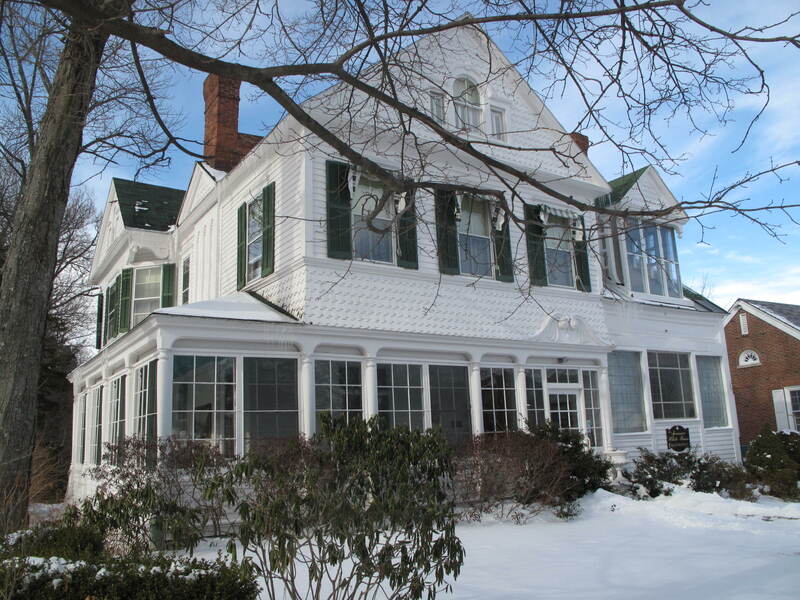 Thirty Five, called the Henry W. Bishop House was built in 1885 and is currently (2016) an inn. 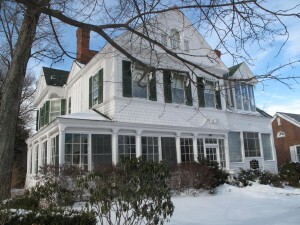 Forty Five, called the David W. Bishop House was built in 1895 and is currently offices. Built as a summer home for Harley Procter, the classical revival style house is said to have been designed to resemble a bar of Ivory Soap. 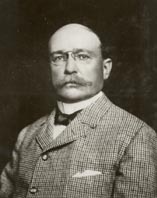 Harley Procter, son of one of the founders, introduced many of the concepts of modern advertising and marketing. He presumably cashed in big when the P & G partnership incorporated in 1890. 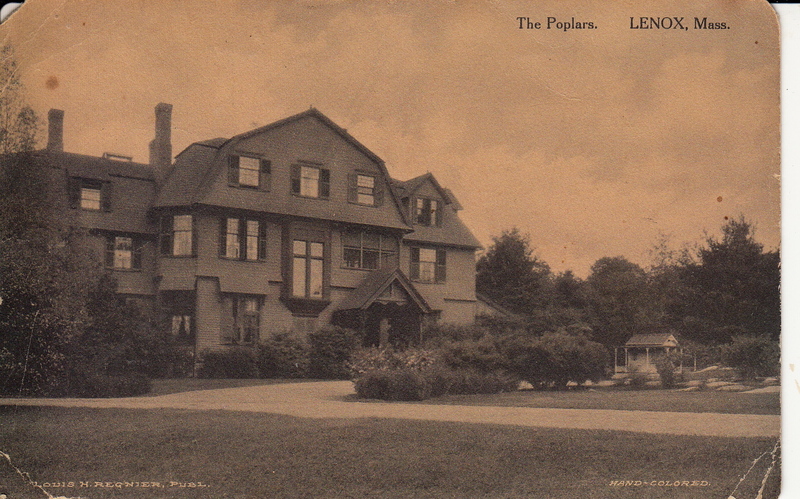 The Procters occupied the house for just a short time, selling it in 1919 to Graham Root, who used it as a real estate office. Subsequent uses included a charm school in the 1930’s, a guesthouse, and office space. In 1942 it became Gateways Inn, by which name it is still known. The Old Lenox Club – 1860’s? bowling alley, smoke cigars, play cards, etc. It was incorporated as a reading club for gentlemen in 1874. 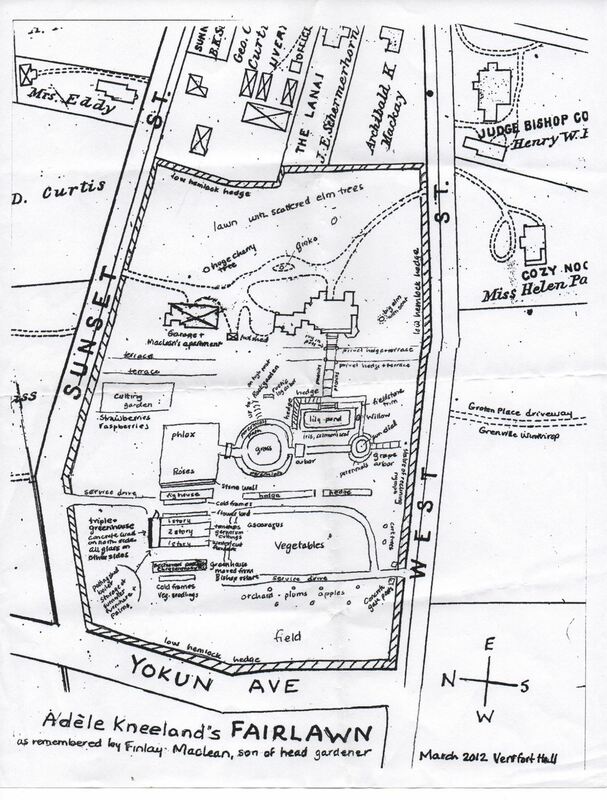 Later the club leased a nine-hole private golf course off Yokun on property belonging to Dr. John C. Greenleaf. 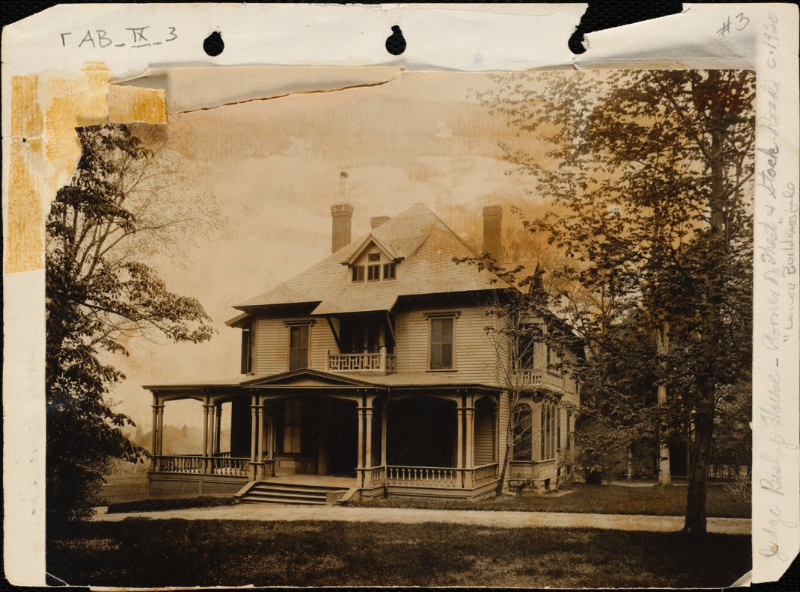 In 1914, after Dr. Greenleaf’s death, the house, outbuildings golf course and the entire ninety acres was purchased by the Club. 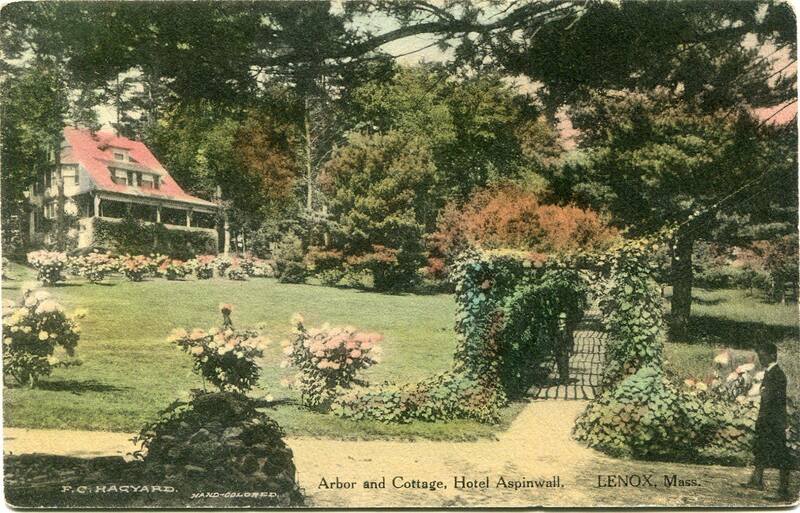 In 1924 the nine hole golf course was expanded to eighteen holes and the ‘Lenox Golf Club’ was formed in association with the Aspinwall and Curtis Hotels both of which used the course for their guests. Very active interest in the Club was revived and major improvements to the clubhouse and grounds were initiated in the 1980s. 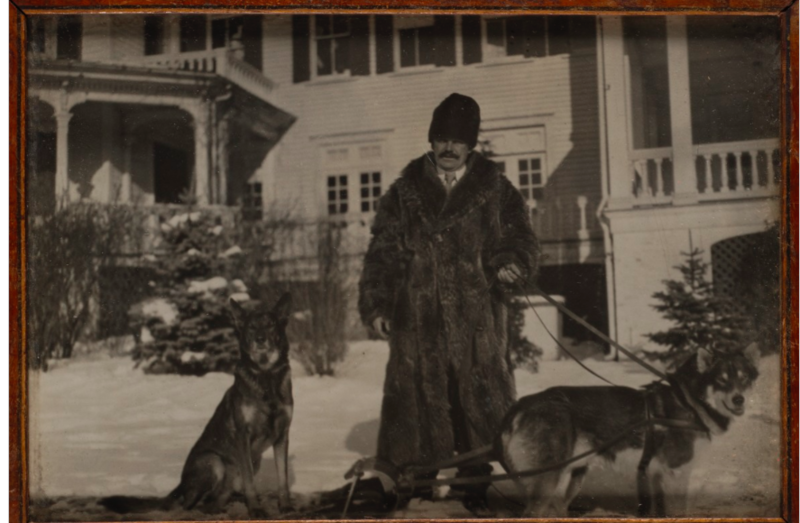 In 1921 George E. Turnure purchased the Walker St. site and built a new community center in memory of his son who had been killed in the First World War. 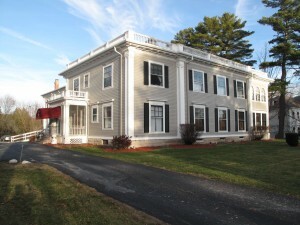 This new community center became the home of the Lenox Brotherhood Club, an organization made up of the union of the Men’s clubs of the Episcopal and Congregational Churches. The community center provided recreational facilities such as a tennis court, billiard room, gymnasium, and bowling alley. The center also has a large hall and stage. Membership in the club expanded in the 1930’s and eventually became open to all. 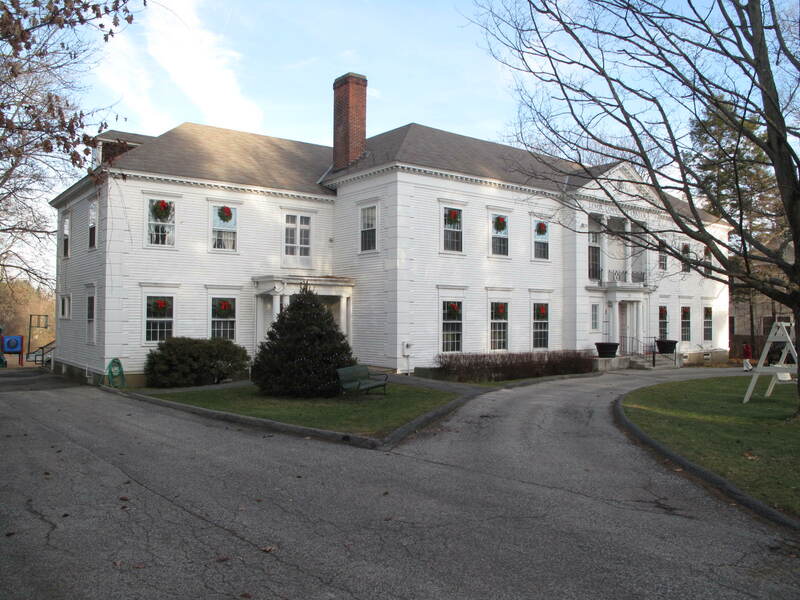 It is currently owned by the Town of Lenox, and provides programs for the community such as the Council on Aging for seniors, youth programs, fitness classes, and meeting space. 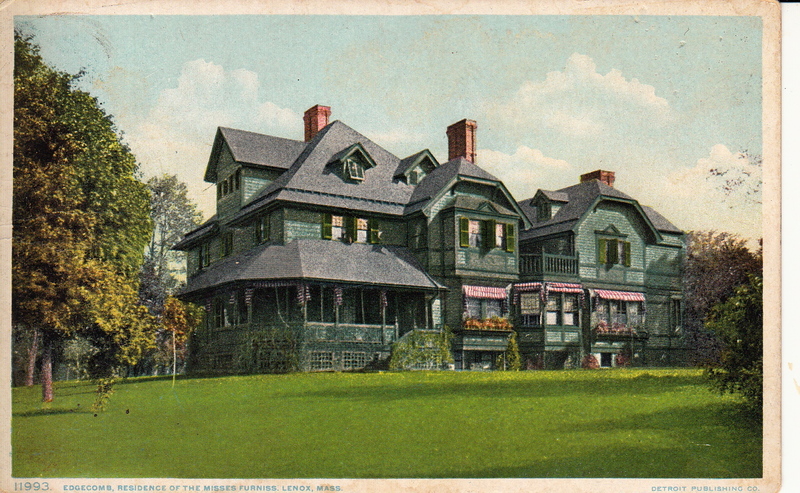 Mrs. M. E. Rogers of Philadelphia had this house built in 1885, for use as a summer residence. By 1890 the house had been rented for the season to John Burrell, and in 1892 it was sold to Nancy W. Wharton (Mrs. William C.) who summered here with her daughter. 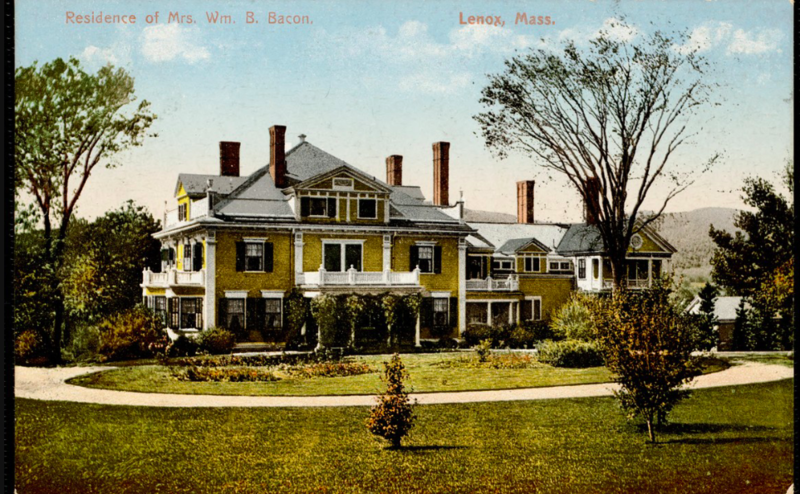 married to novelist Edith Wharton who was to become one of the most illustrious residents of Lenox. 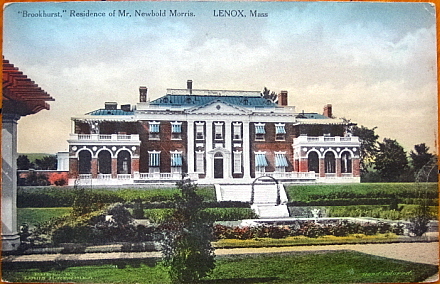 After spending several summers in Newport, Edith Wharton, displeased with both the climate and the lack of intellectual life there, came to Lenox. 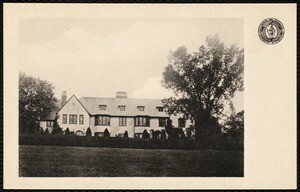 She stayed at “Pine Acre”, home of her mother-in law and sister-in-law, who were abroad at the time. 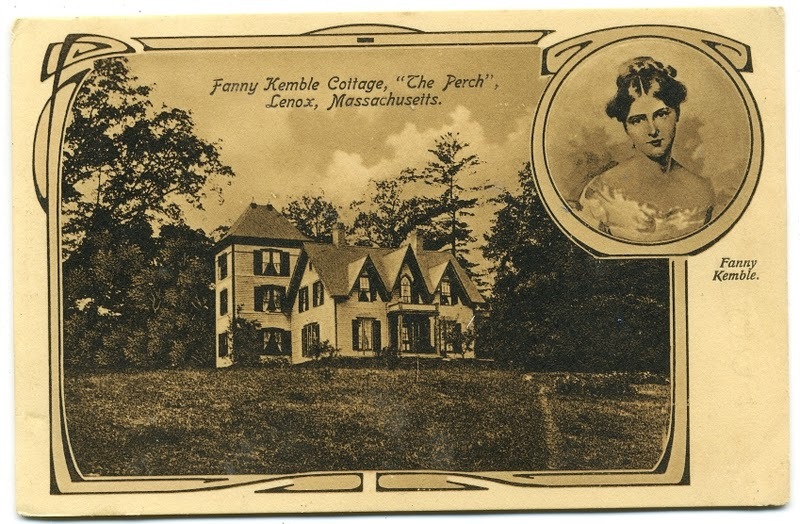 She was very impressed with Lenox that she returned to “Pine Acre” the following summer and, in February of 1902, returned to Lenox to look for a house site of her own. While looking for the site she stayed at the Curtis Hotel. 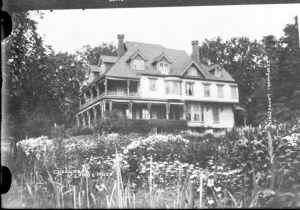 She spent one last summer at “Pine Acre” in 1902, while her house, “The Mount”, was under construction. 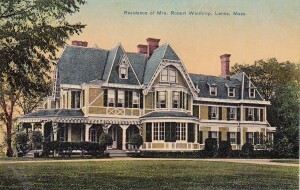 Mrs. William C. Wharton continued to stay at “Pine Acre” for several summers until her death in August of 1909 in Lenox. 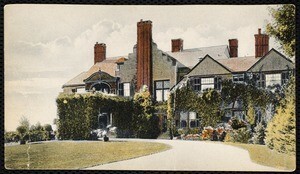 Teddy Wharton spent many of his declining years here after he and Edith divorced. For awhile the property was run as an inn and known as “Three Gables,” or “The Gables.” It is currently (2016) condominiums. 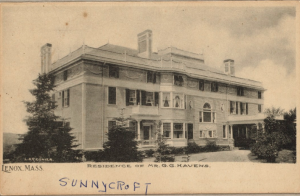 Ogden Haggerty, a successful banker and intellectual, had been visiting the Wards and the Sedgwicks for a number of years and often renting a property from Mr. Stanley located where Ventfort Hall is today. 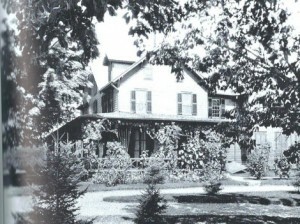 In 1853 The Haggertys purchased the property and built a home of their own. 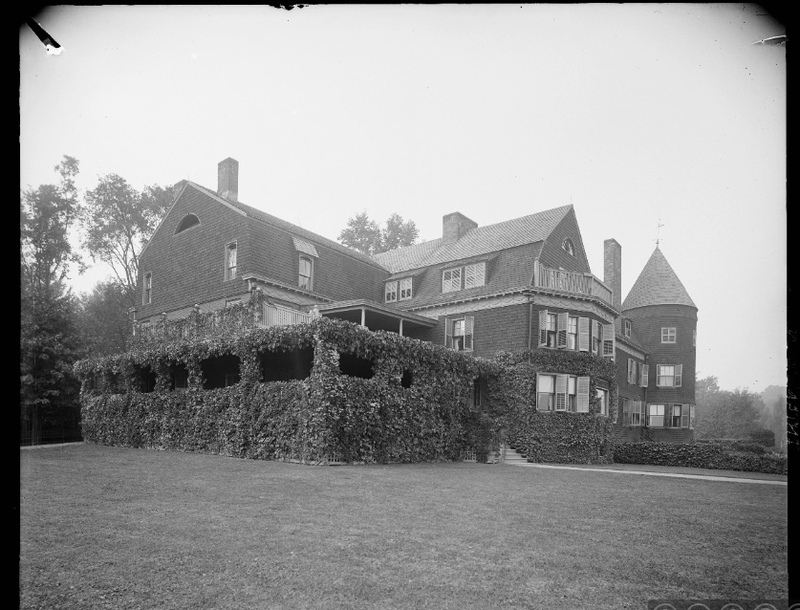 In 1891, Sarah and George Morgan purchased the property, moved the original Vent Fort across the street, and used Rotch and Tilden to build a Jacobean mansion of their own. 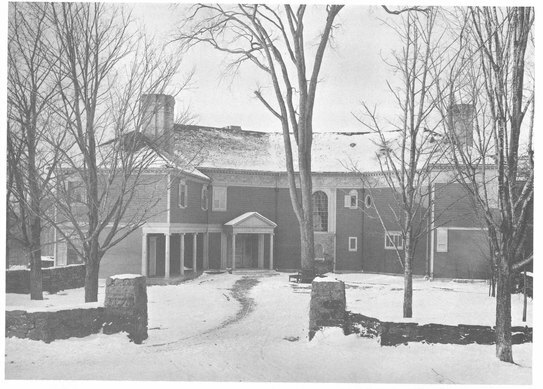 The original Vent Fort was being used by Lenox Country Day school when it burned in 1961. Much of the extensive average of the Morgan’s Ventfort were sold off for Morgan Manor and individual house lots. The mansion sits on the remaining average and has been restored and is open as a Museum of the Gilded Age. 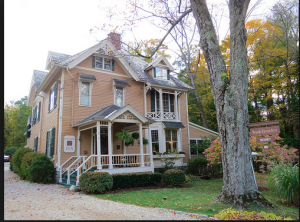 This wood frame home was built in 1865 for General and Mrs. F. C. Barlow. When the Bruno Aron family was running Ventfort Hall as Festival House, Sunny Bank was used for overflow guests. It is currently a private home. 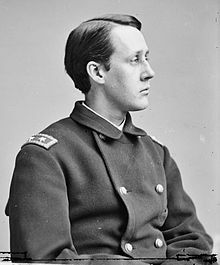 Francis Channing Barlow (1834-1896), despite his obvious youth in this photo, became a general by the end of the Civil War. 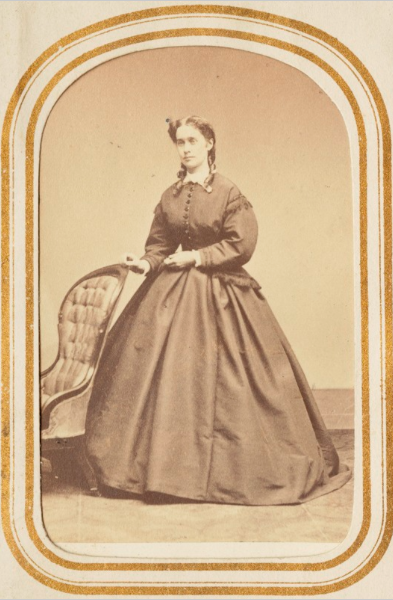 In the small world category, he married, at the end of the war, the sister of Robert Gould Shaw who had married Annie Kneeland Haggerty and honeymooned at Ventfort Hall. A lawyer by training, F.C. 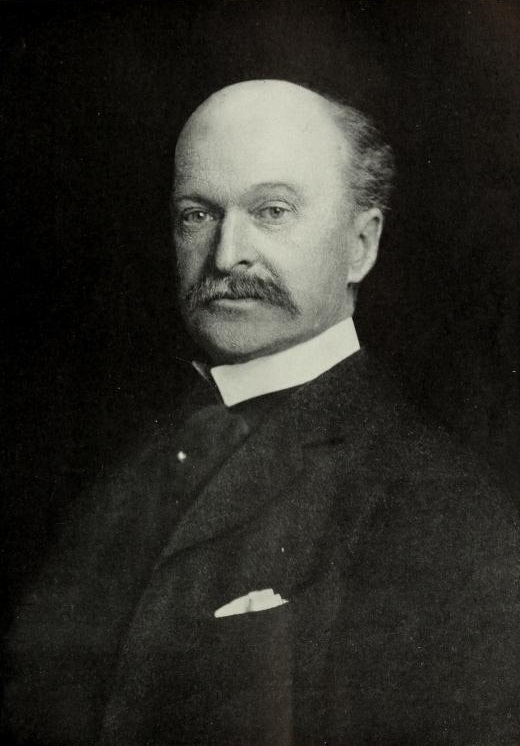 Barlow founded the American Bar Association. In 1887, Mr. and Mrs. David Lydia needed an escape from Westchester. The family estate, West Farms was being incorporated into the Bronx. They hired Rotch and Tilden to build the lovely Colonial Revival at 151 Walker St. 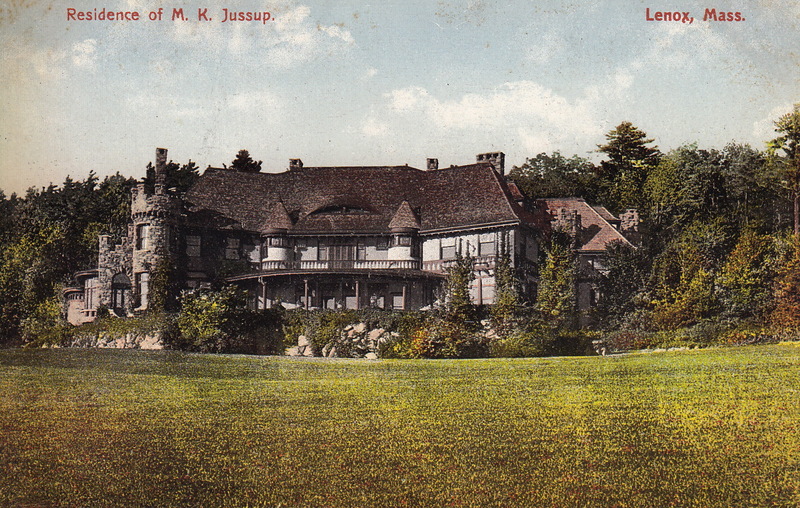 The interior has been significantly altered but the exterior and grounds remain quite similar to the original design. It is a private home. Frelinghuysen’s entertained lavishly, with former President Arthur among their many guests. Frederick Olmsted was consulted on the landscape. 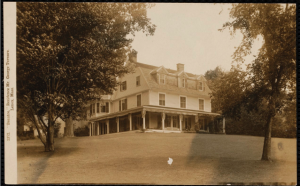 Both the Griswold and Frelinghuysen families had distinguished histories with many past and present ties to Lenox. 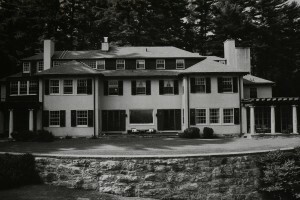 The house was subsequently owned by Thatcher Adams, who renamed it “Sundrum House” R.J. Flick purchased the property in the early 1930’s and lived in it while his estate “Uplands”, was under construction. It was then sold to Mrs. Charles F. Bassett who gave the school to the Lenox School for Boys for use as a dormitory. It is (2016) currently Kemble Inn. Lenox is a great place to play the “what used to be here?” game on a grand scale. Charles and Elizabeth Sedgwick purchased property on what is now Kemble Street and moved a house there. They quickly expanded to “The Hive” to accommodate their growing family and many guest. It was replaced in 1903 when J.E. 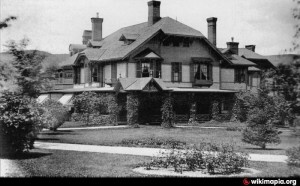 Alexander built Spring Lawn – still standing today; shown here from the same angle as “The Hive.” – not as usually seen from Kemble Street. 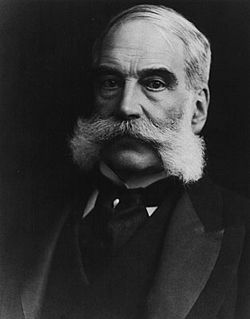 John Ernest Alexandre (1840-1910) was a wealthy shipping executive. He, his wife, Helen Lispenard Webb (1857-1929) and their daughters had been coming to Lenox for a decade and were renting the Frelinghuysen house next door when Spring Lawn was being built by Boston architect Guy Lowell. The house was used by Lenox School for Boys and Shakespeare and Company. When used by the Lenox School for Boys, it was known as Schermerhorn Hall. It is currently (2016) slated to be part of a time share development. George Griswold Haven (1866-1925) built Sunnycroft in 1888 using John D. Johnson as architect and John Huss for landscaping. 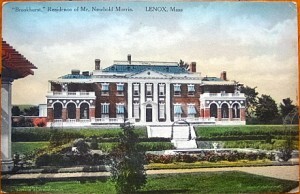 In 1926 it became the first building used by the Lenox School for Boys and was known as Griswold Hall. 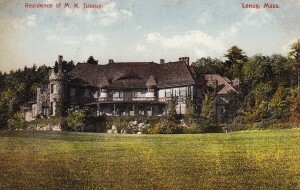 It was demolished in 1940 after St. Martin’s Hall was built. George G. Haven seemingly had all the gilded age trappings: two wives (Elizabeth Shaw Ingersoll, then Dorothy James), distinguished family ties, business in all the turn of the century favorite — coal, railroads and banking. However, he had a nervous breakdown in 1924 and took his own life. speculator and future next door neighbor to Clipston Grange moved the old house to Kemble Street in 1893. 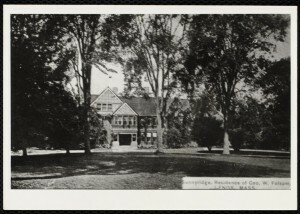 Frank and Florence Sturgis enlarged the house in 1894 in the colonial revival style adorning the roofline with a parapet, installing elegant bow windows in the dining room and study, and adding a new reception room at the south end. The architect is unknown. A childless couple, the Sturgises were devoted to animals. 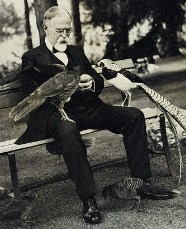 Florence Sturgis’ family property is now the Bronx Zoo, and Sturgis was a founder of the Society for Prevention of Cruelty to Animals. 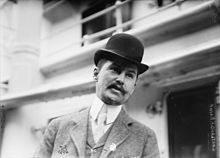 He served a term as president of the New York Stock Exchange, and on the building committee of Madison Square Garden, on the boards of the Jockey Club and the New York Coaching Club. 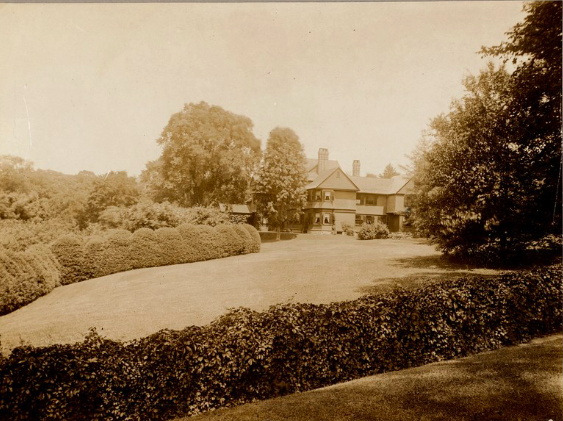 Florence Sturgis died in 1922, four years later Sturgis left Clipston Grange to the Lenox School for Boys, which was at the time based in Sunnycroft next door to Clipston Grange. Currently (2016) the property is a private home. 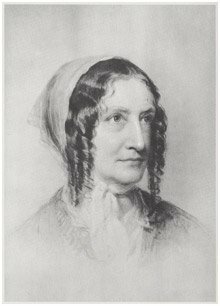 Fannie Kemble (Butler), actress and all round character, is mentioned by just about everyone who swarmed to mid 19th century Lenox. 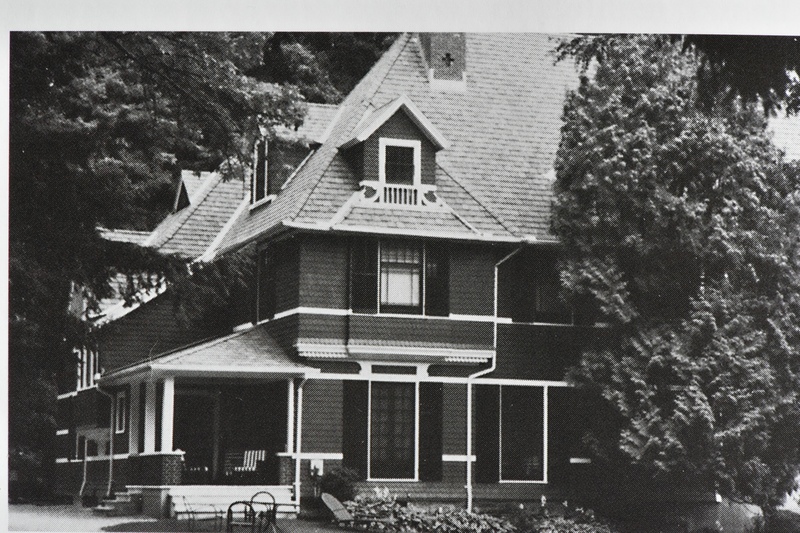 She spent some time at The Curtis and various rentals but eventually carved out a place for herself across from what is now Canyon Ranch on Kemble Street. 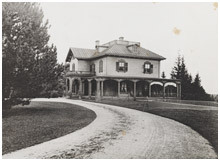 The owner, Courtlandt Field Bishop owned property from here through Old Stockbridge Road to Winden Hill–overlapping the current Bishop’s Estate Development. 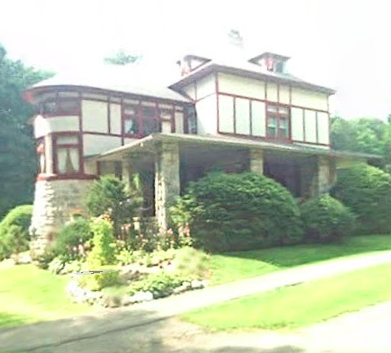 His home, Ananda Hall was built in 1924 on Old Stockbridge Road and razed in 1940. Bellefontaine was built in 1896-1898 for Giraud and Jean Foster. 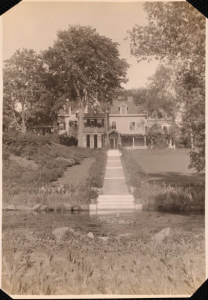 Giraud Foster (born in 1851) lived at Bellefontaine until his death in 1945 and could be considered to have watched over the sunset of Lenox’s Gilded Age. 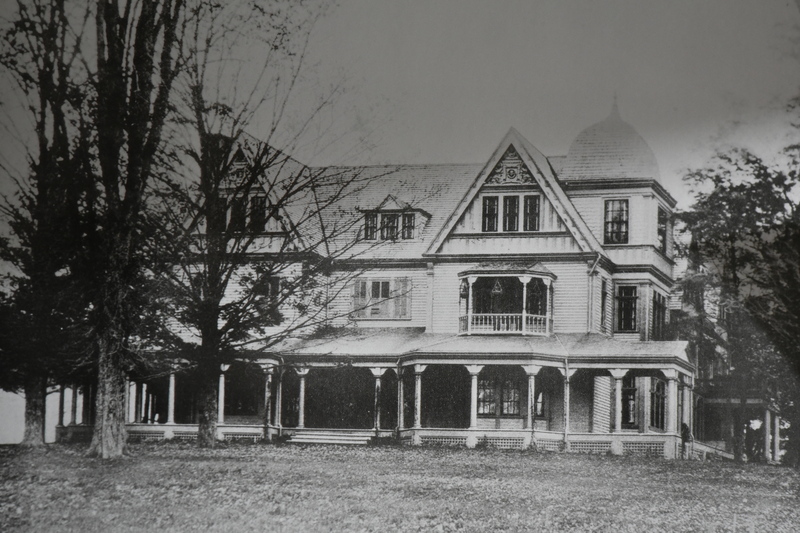 Bellefontaine and its inhabitants were extensively described in a recent lecture at Ventforet Hall by Richard Jackson, Jr.